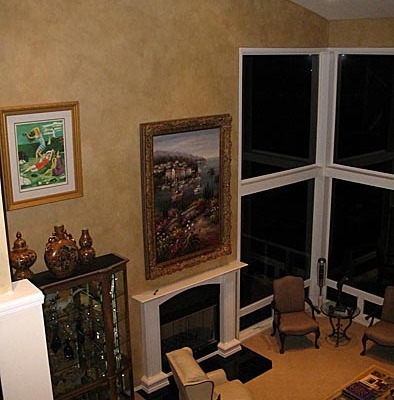 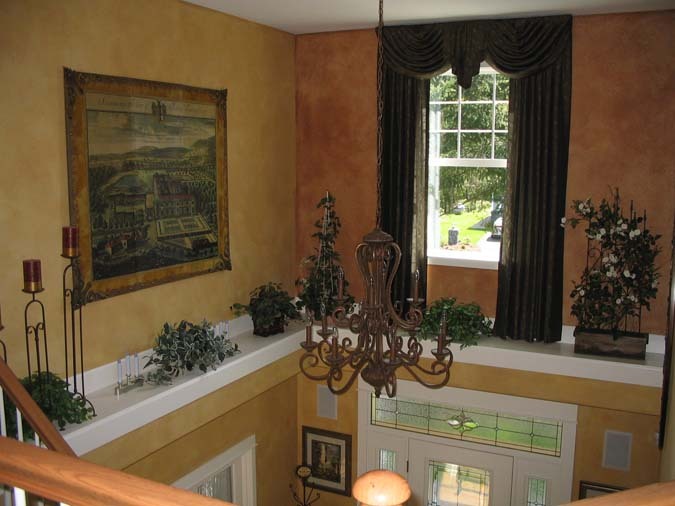 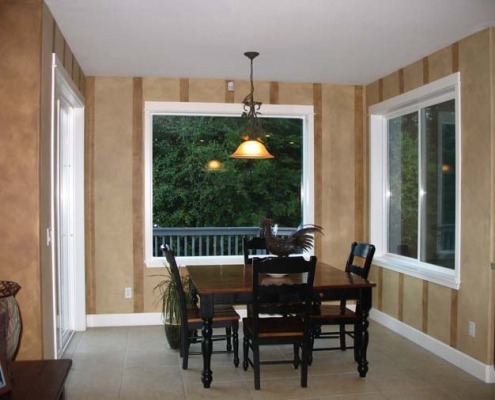 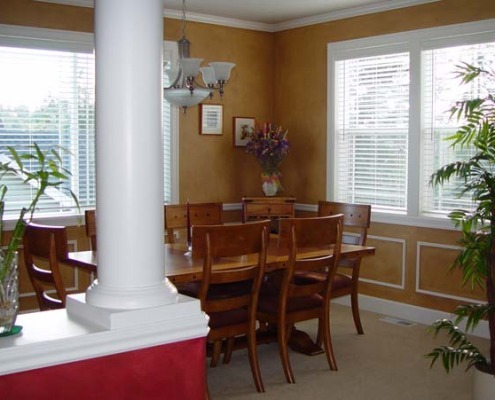 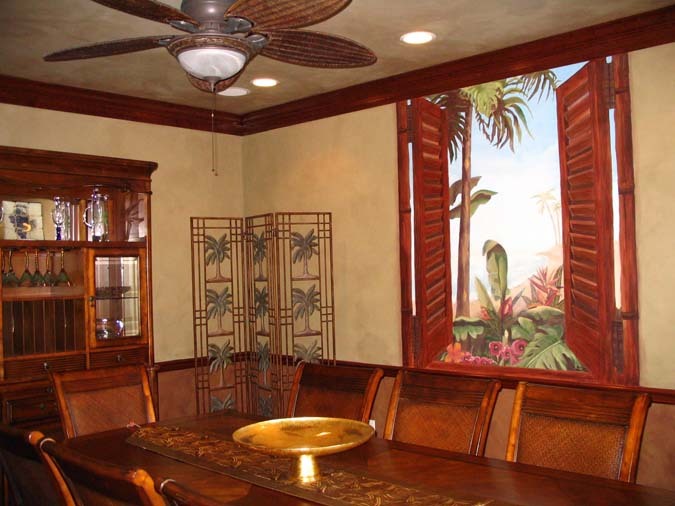 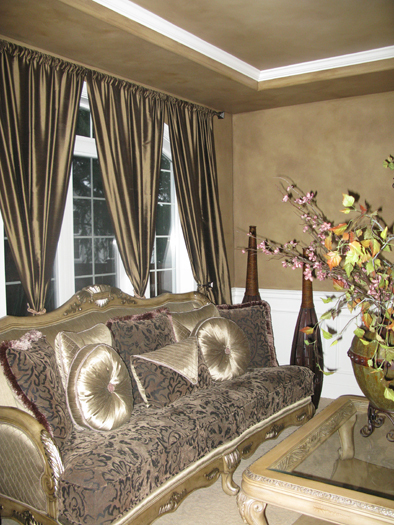 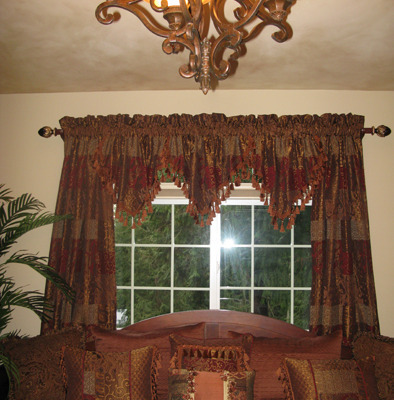 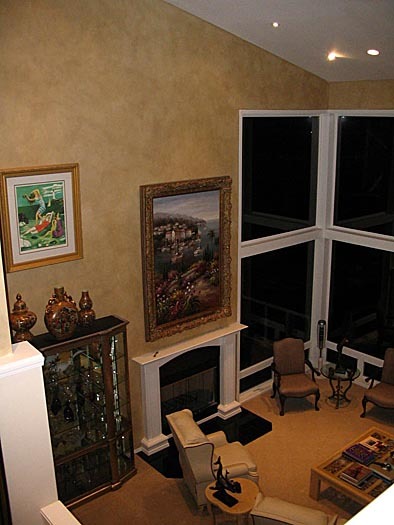 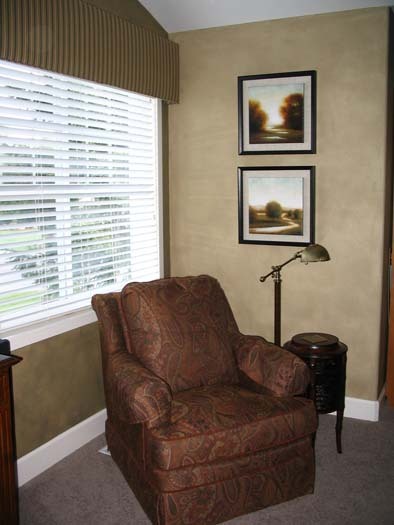 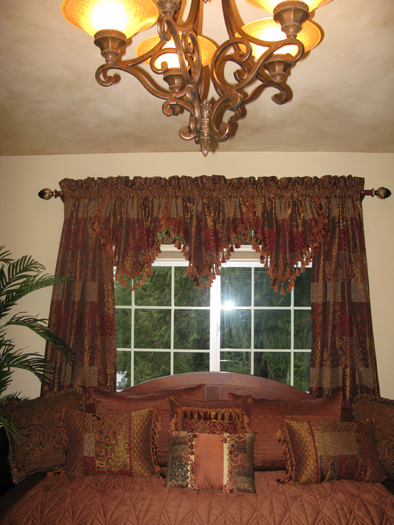 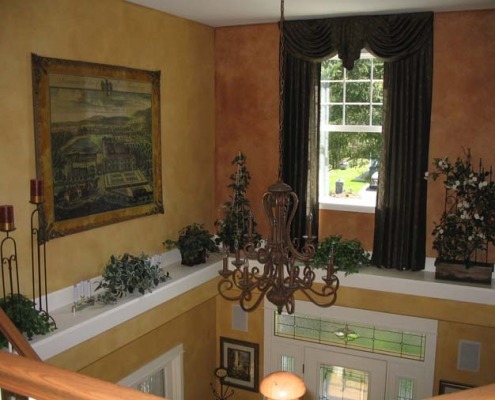 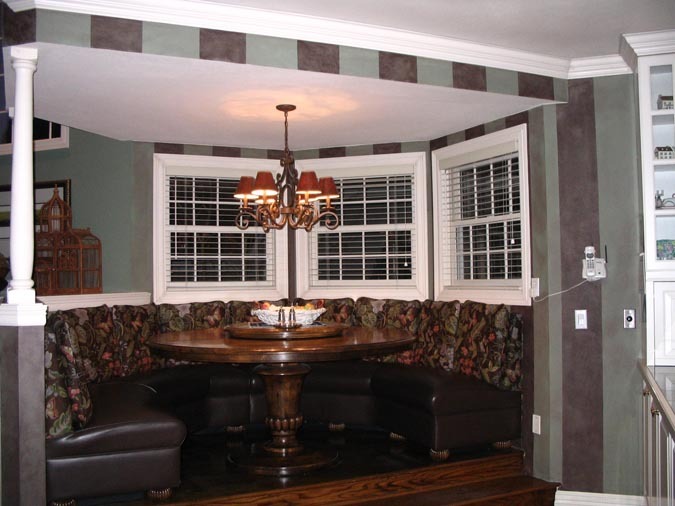 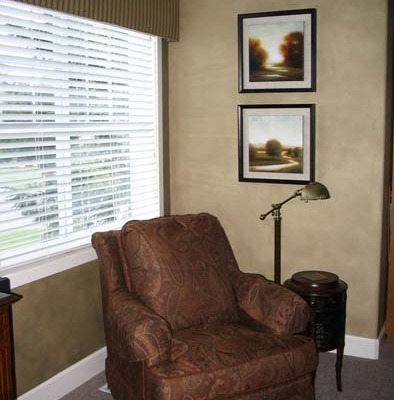 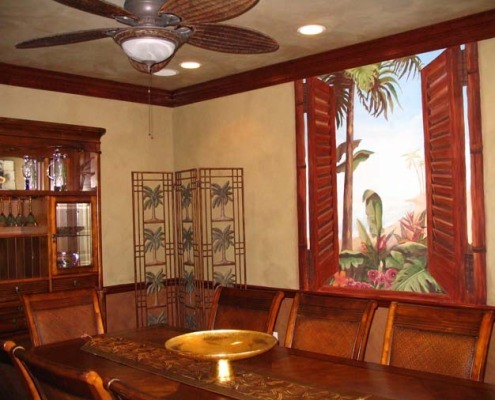 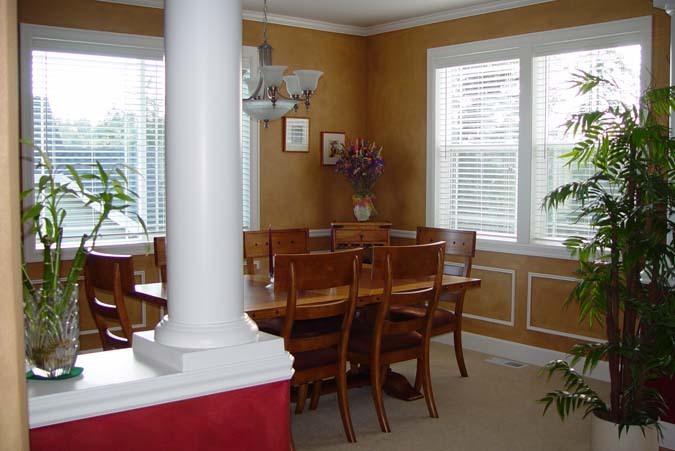 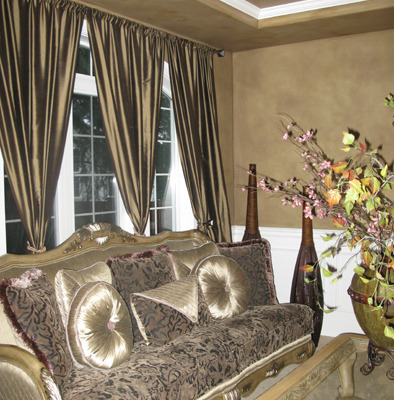 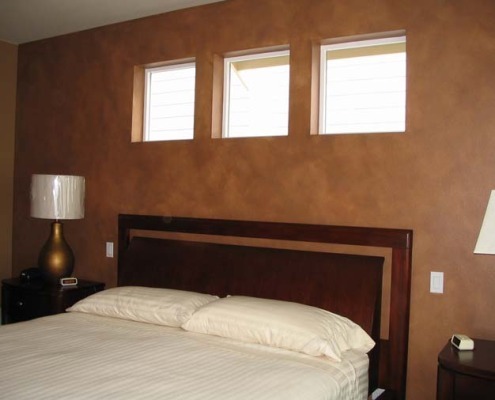 Architectural wall glazing adds character and life to any room in your home and business. 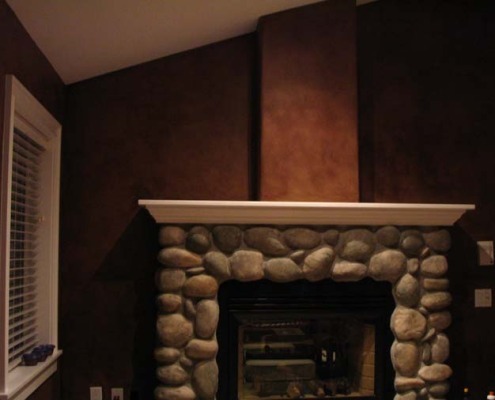 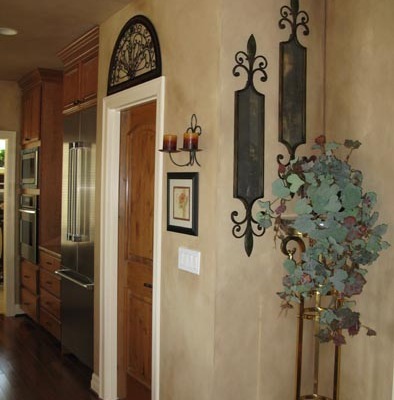 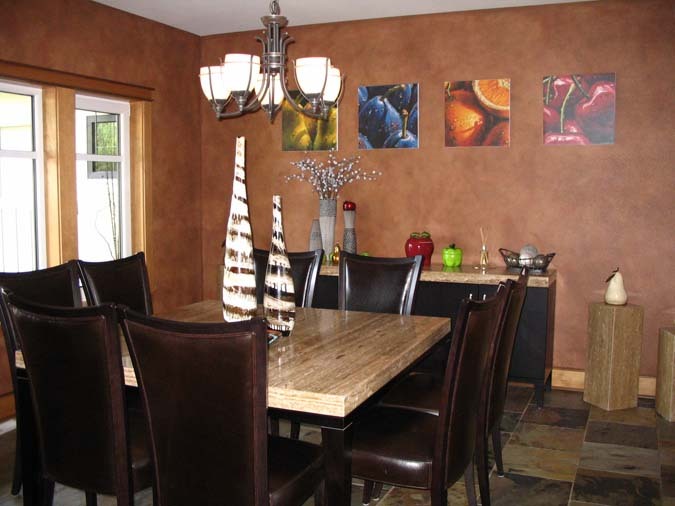 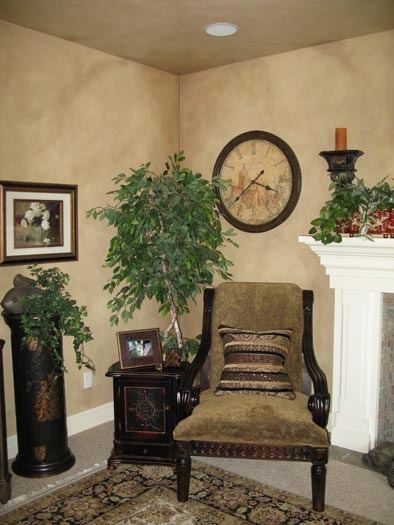 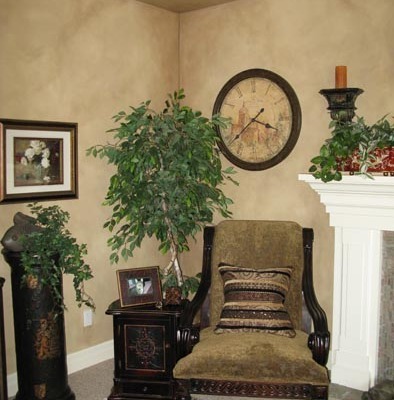 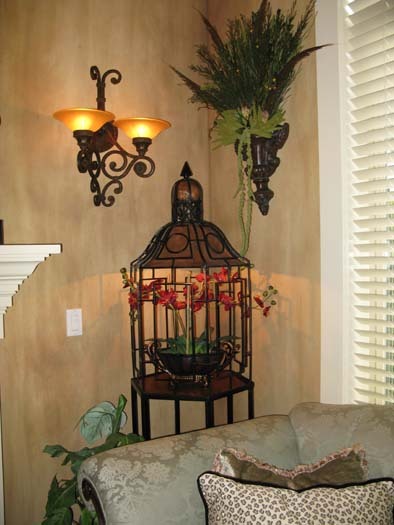 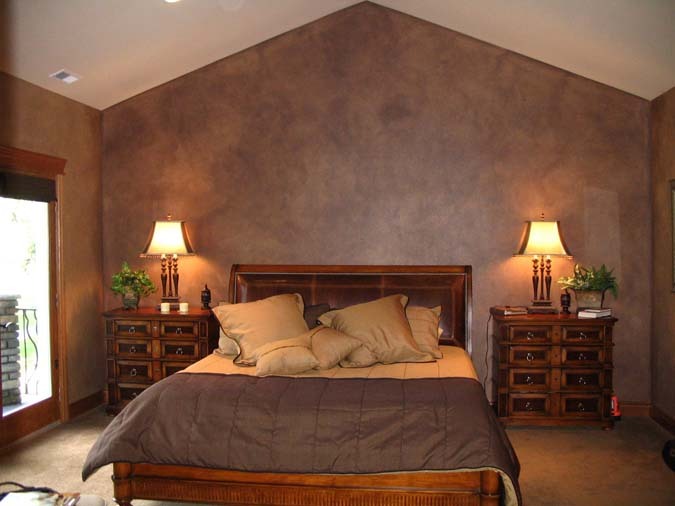 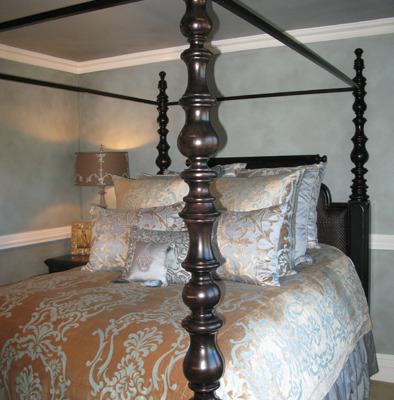 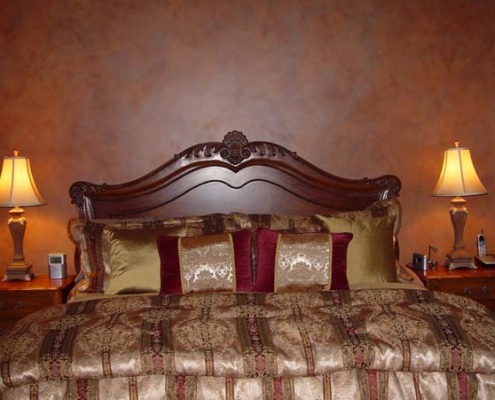 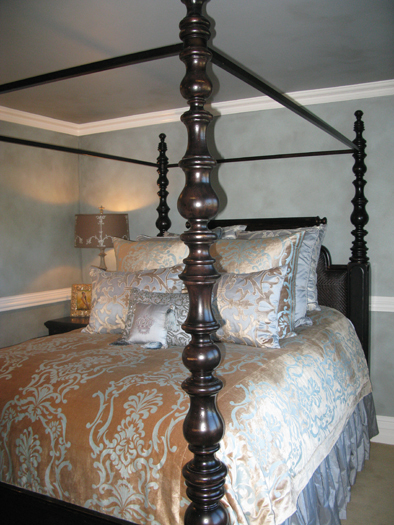 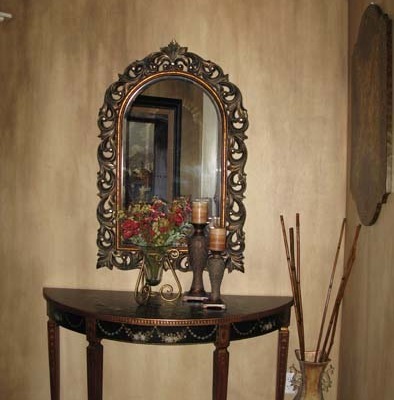 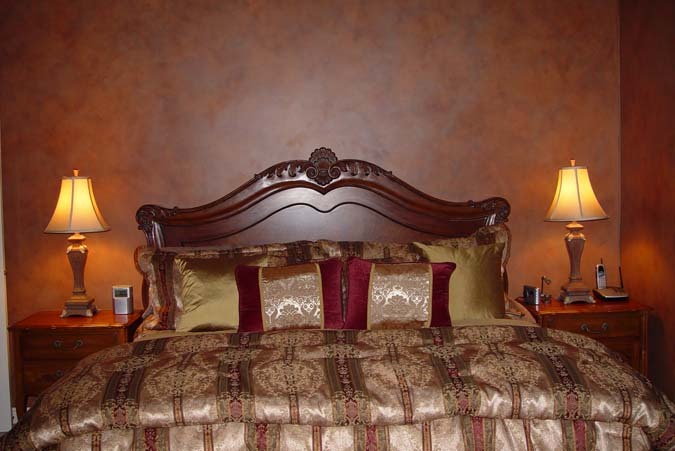 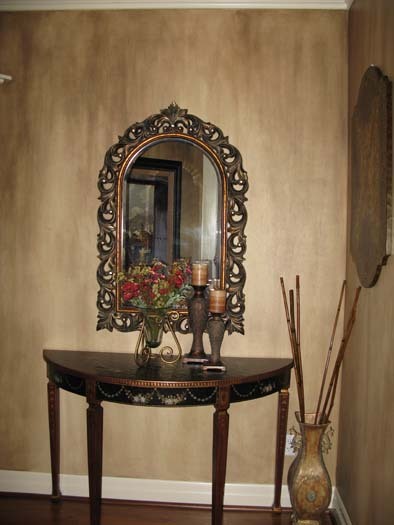 There are many options of decorative wall finishes to suit the theme and style of your room. 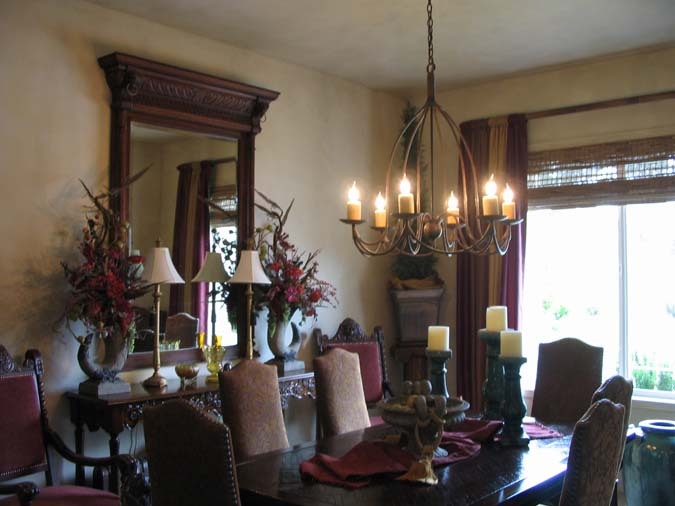 From old world to traditional to transitional to contemporary you will fall in love the difference it makes in your space. 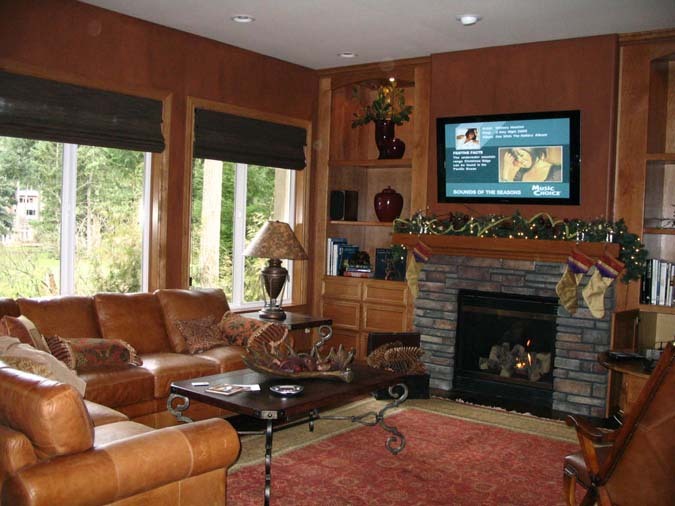 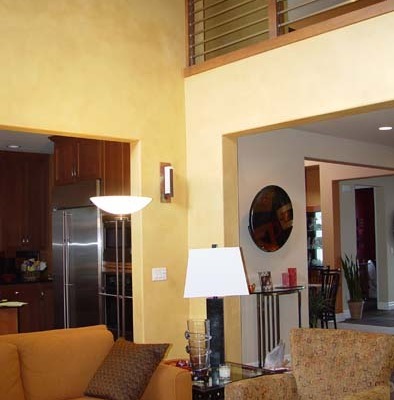 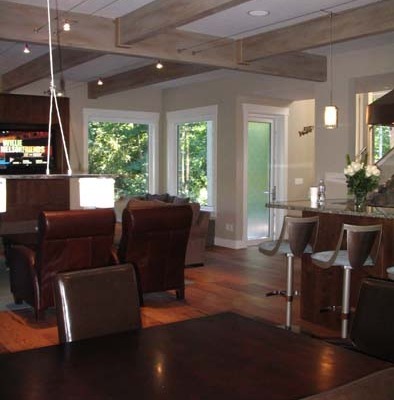 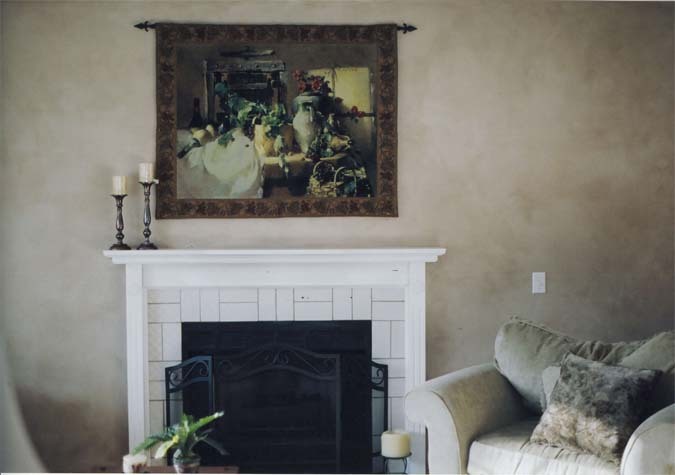 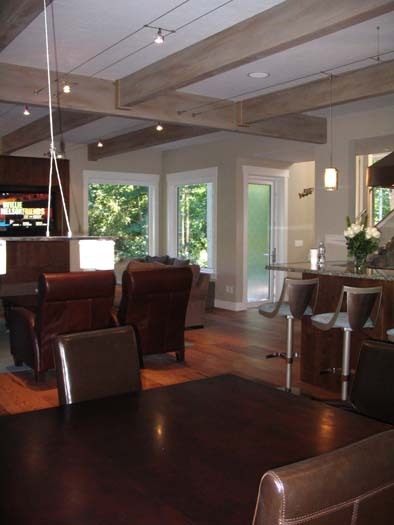 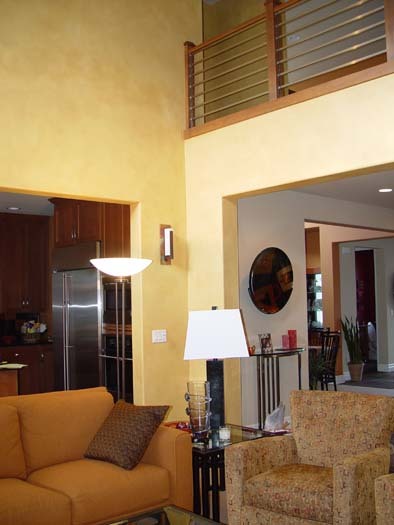 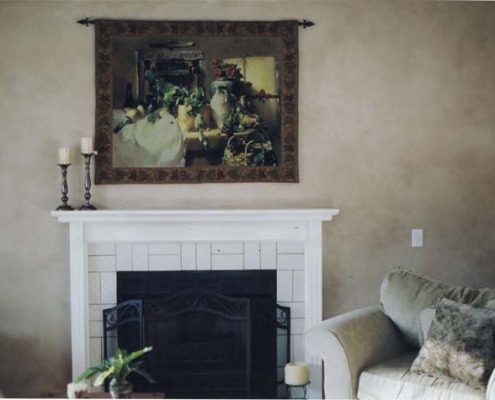 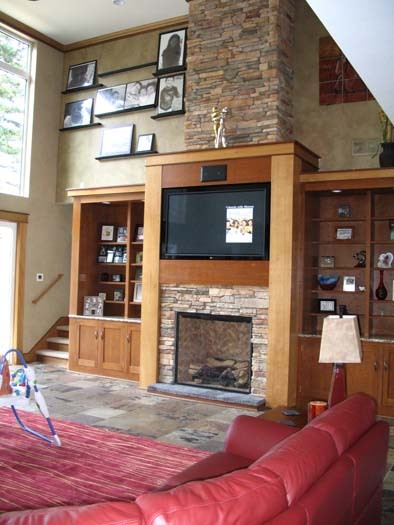 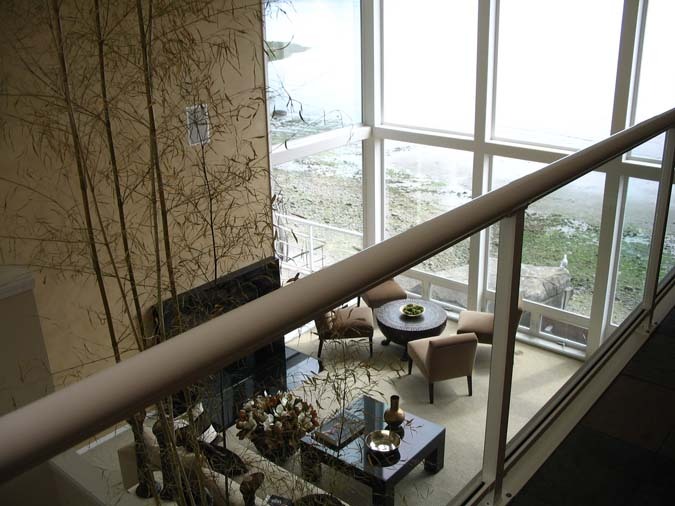 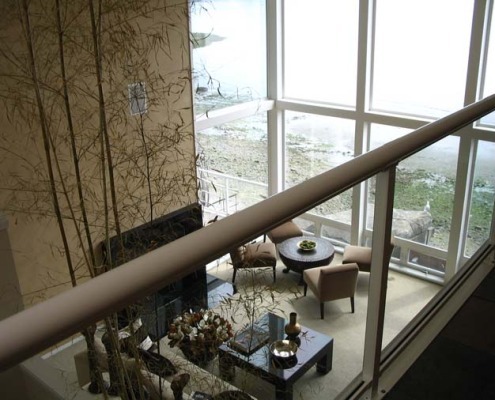 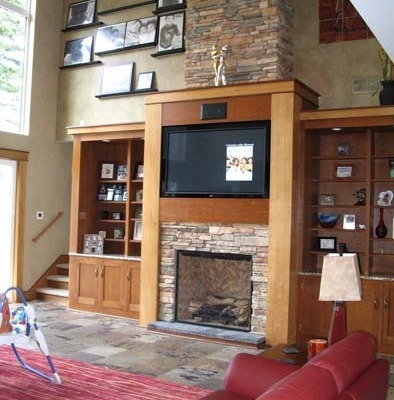 In gallery one you will see wall glazing from projects in Seattle, Redmond, Kirkland, Bellevue and Medina. 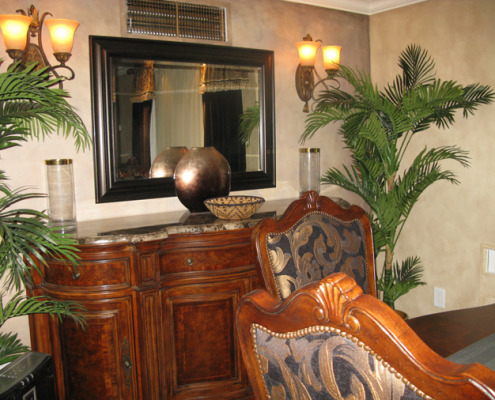 We strive to communicate in great detail to design the perfect space that meets your taste and your needs. 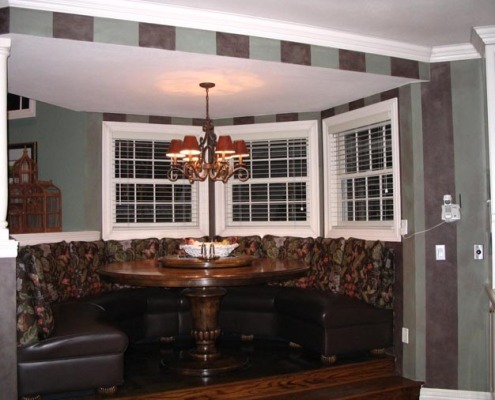 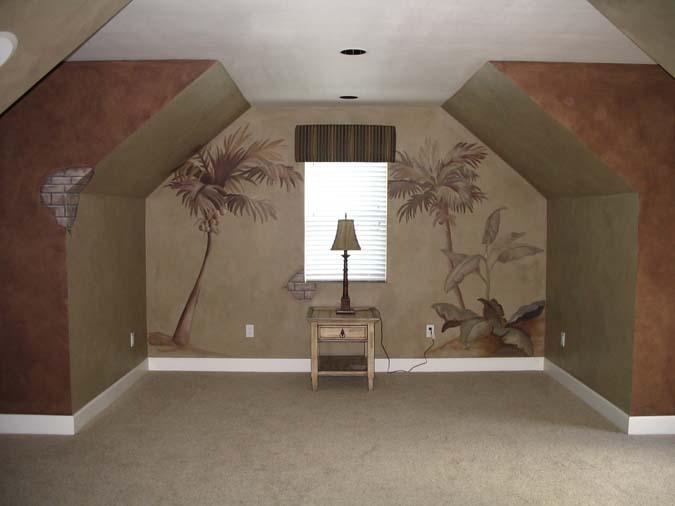 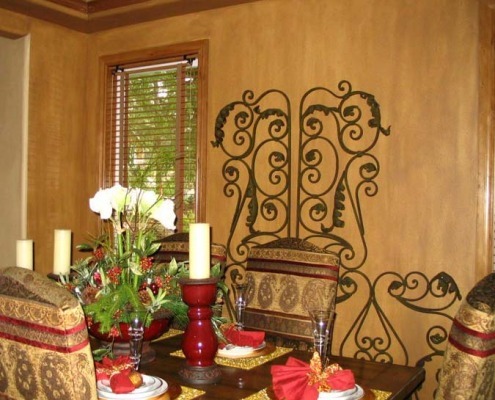 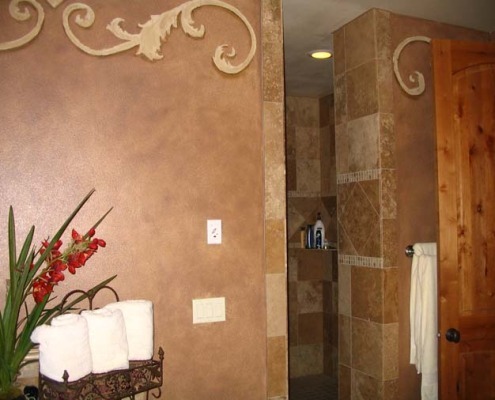 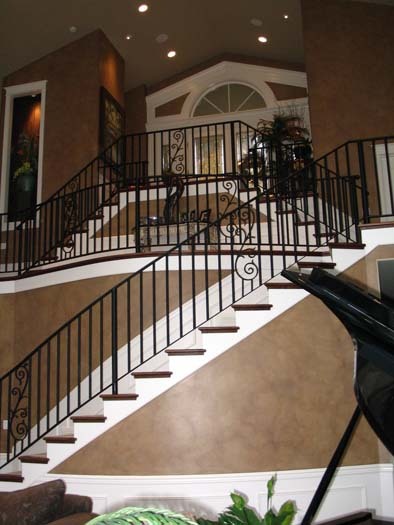 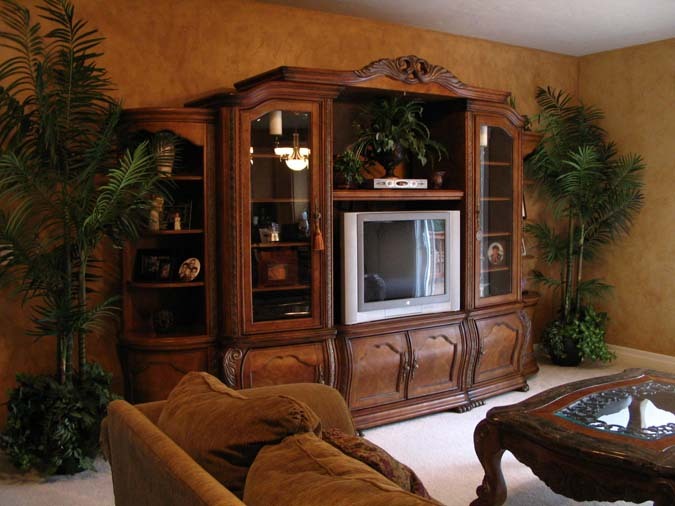 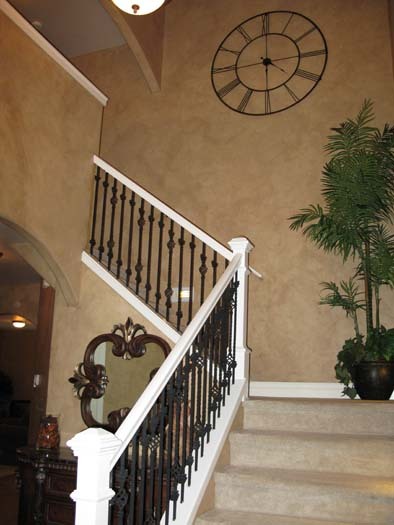 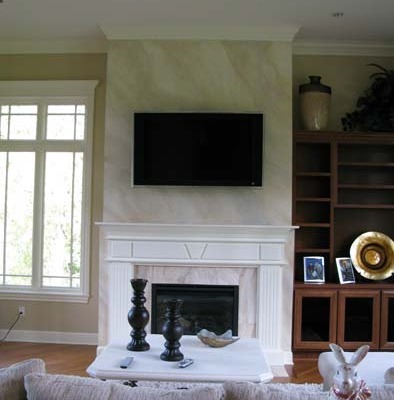 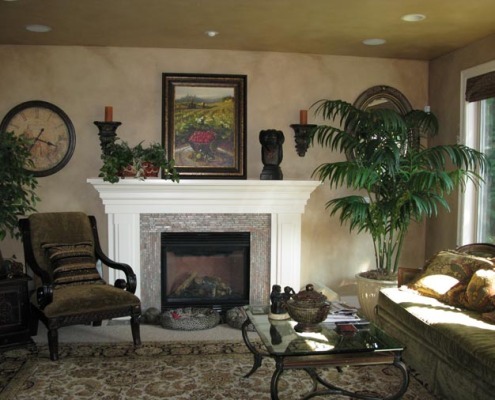 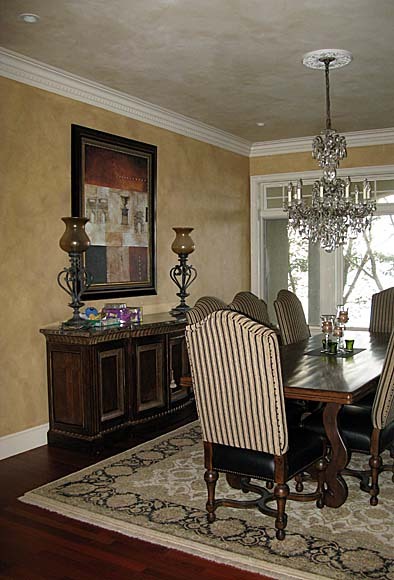 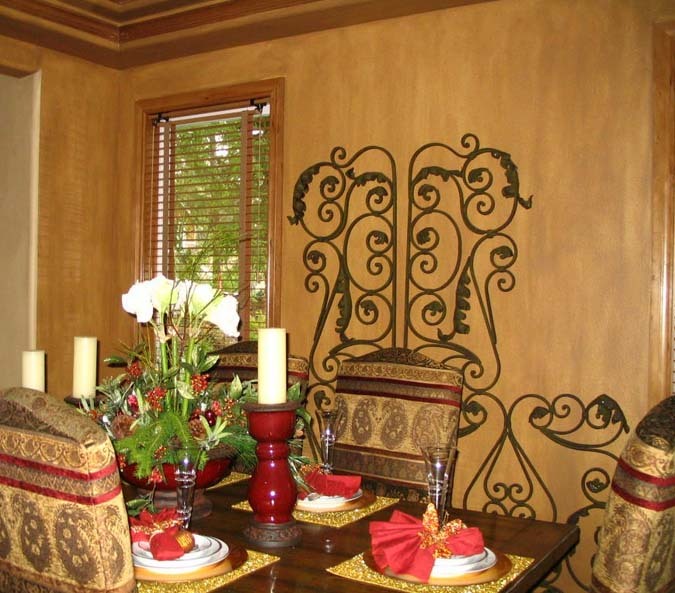 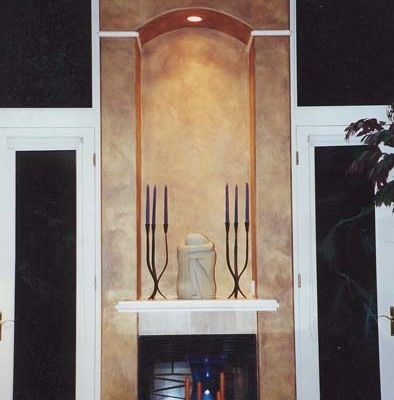 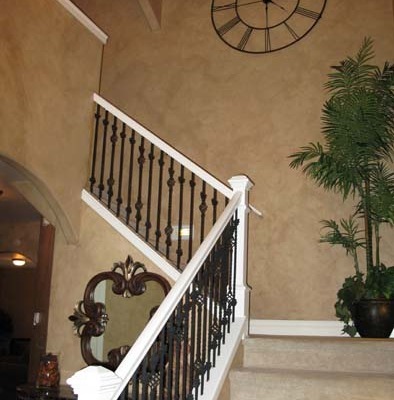 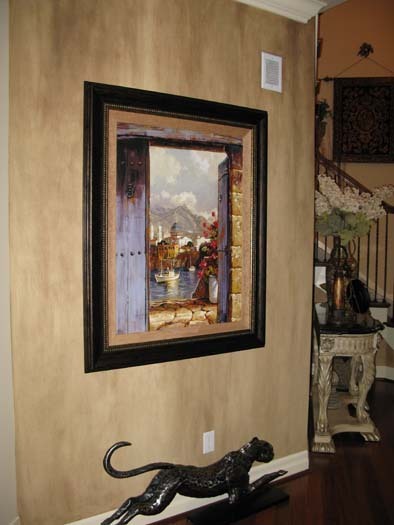 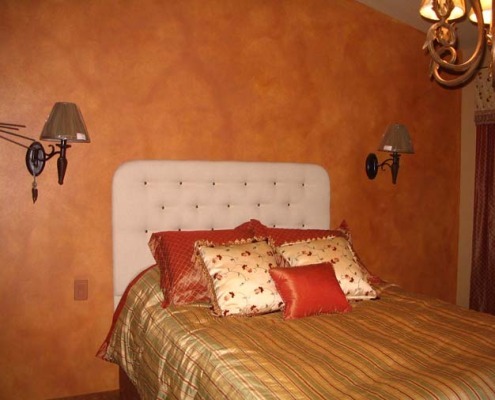 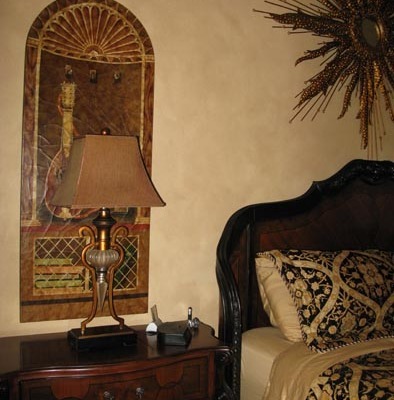 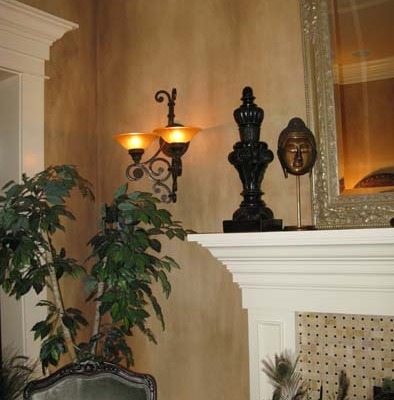 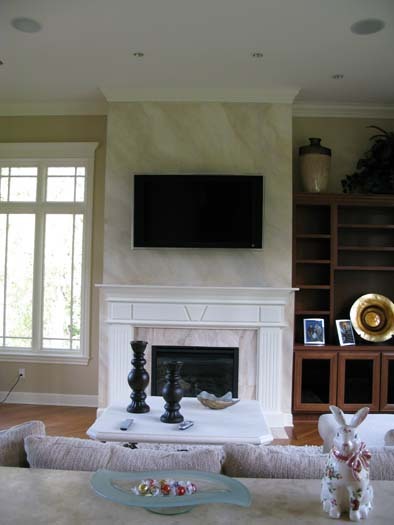 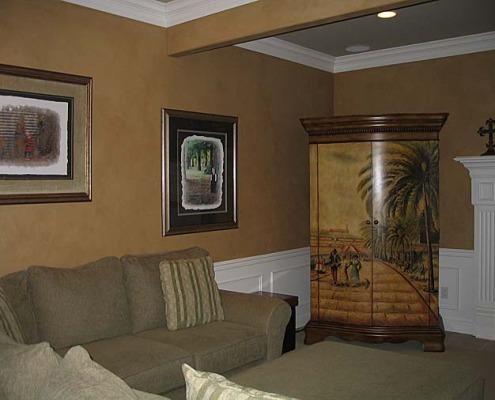 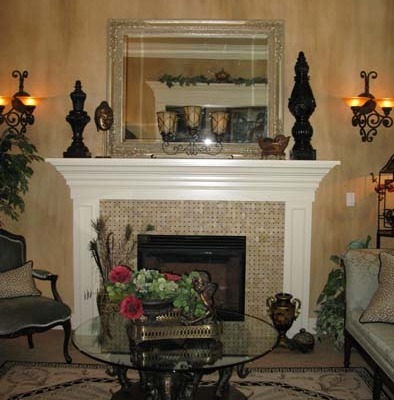 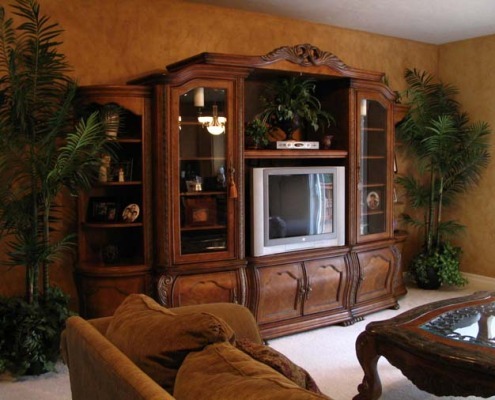 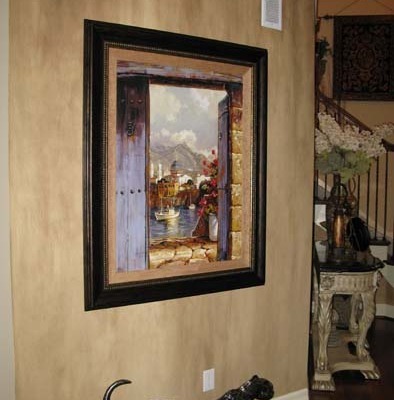 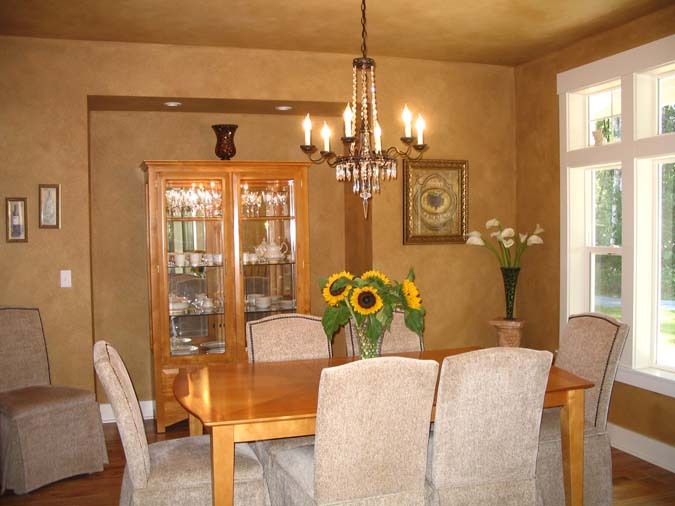 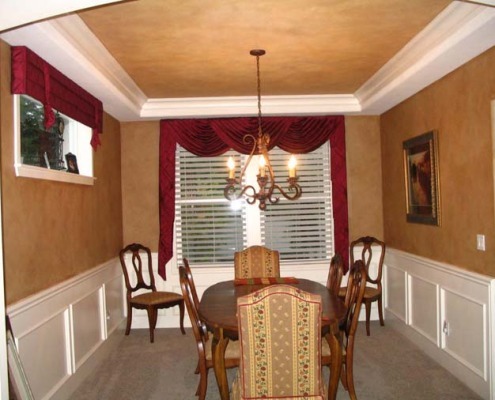 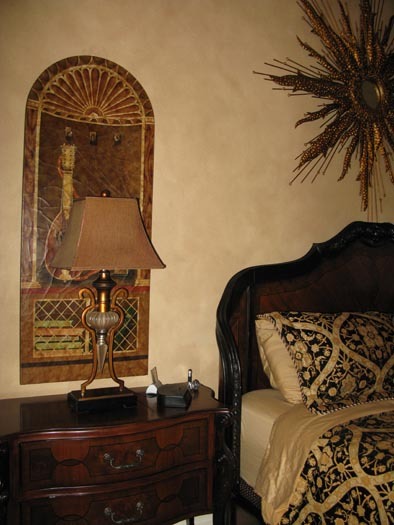 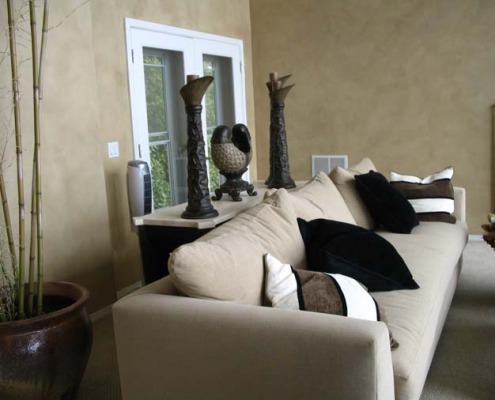 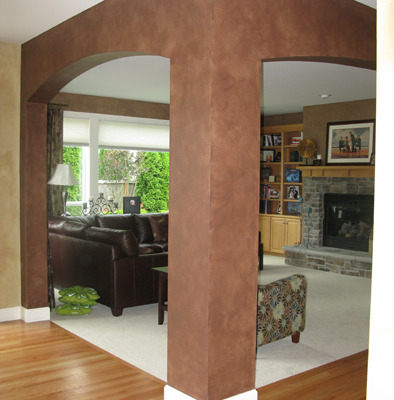 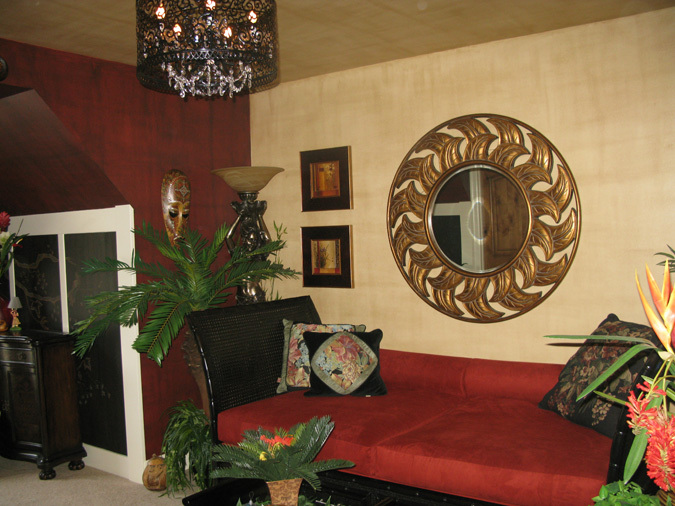 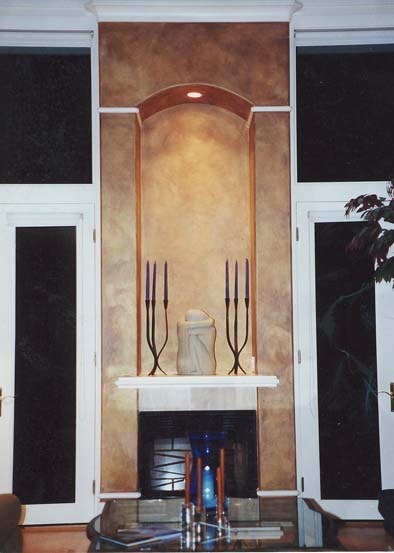 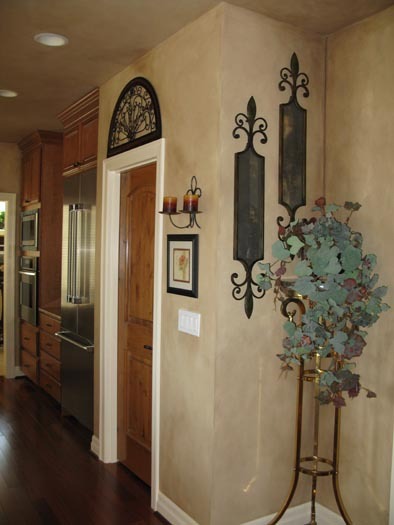 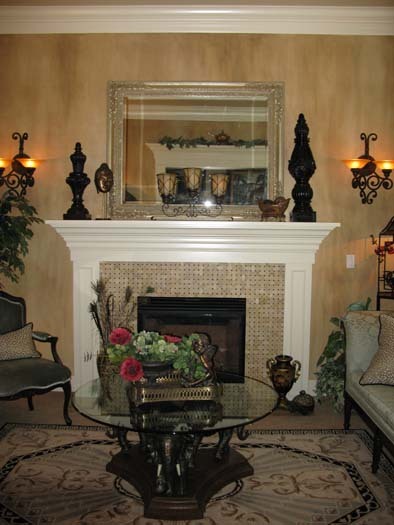 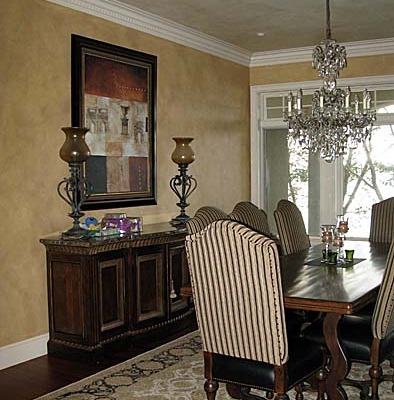 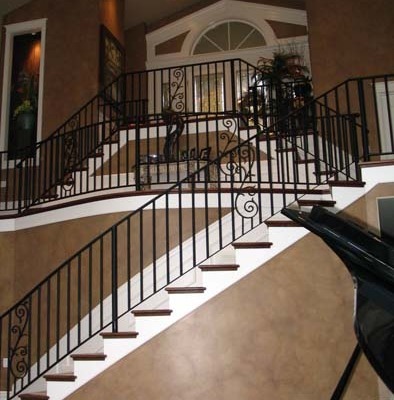 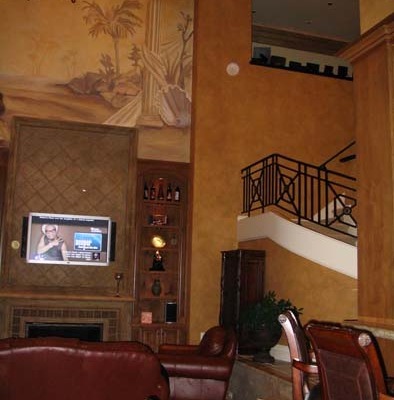 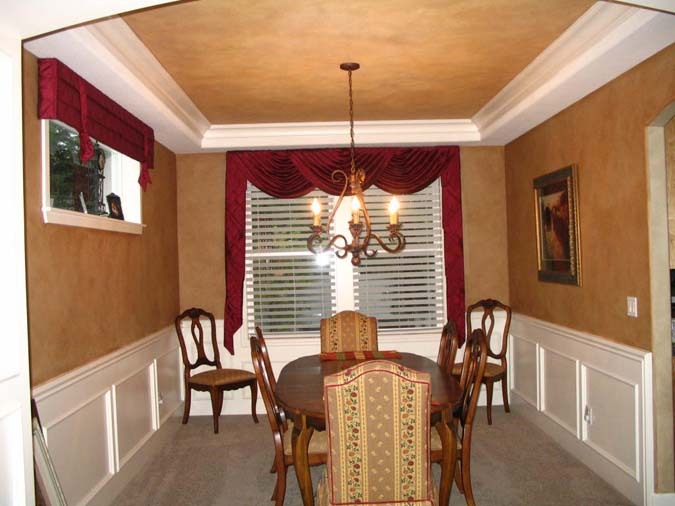 We will explore all of your options of wall finishes and murals while finding the perfect fit for your budget. 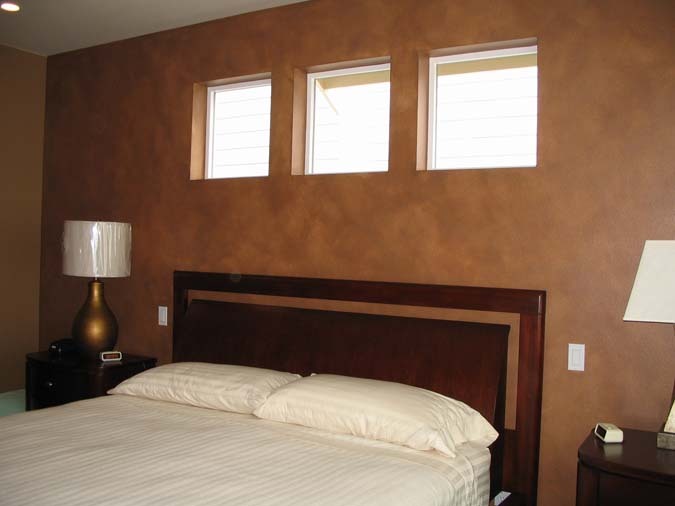 Architectural wall glazing can really transform your walls and bring them to life. 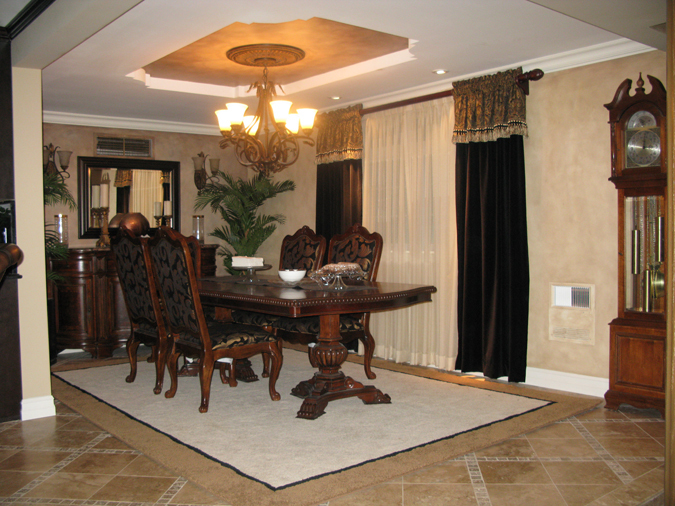 We strive to communicate in great detail to design the perfect space that meets your taste and your needs. 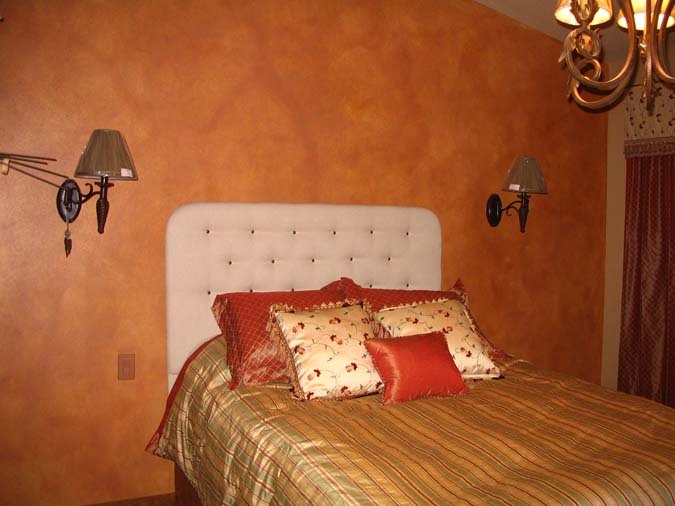 We will explore all of your options of wall finishes and murals while finding the perfect fit for your budget. 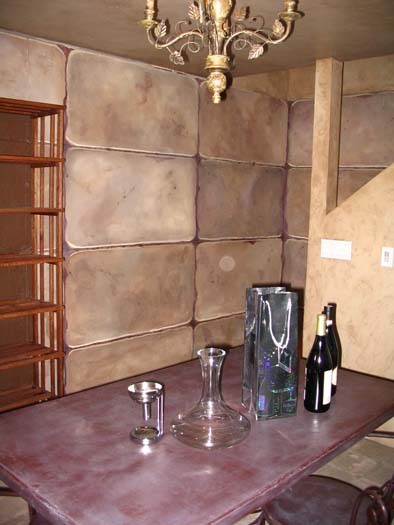 Architectural finishes can really transform your walls and bring them to life. Architectural Wall Glazing can provide a Dynamic Wall Covering design option! 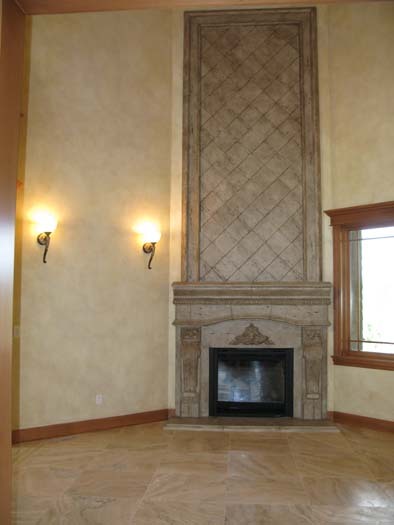 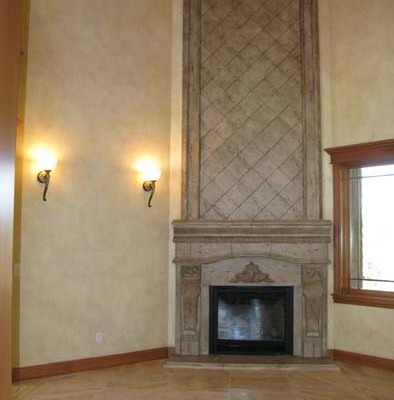 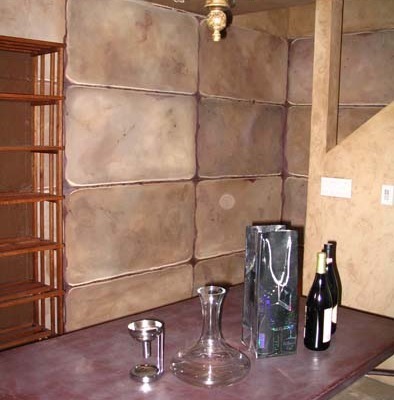 Say goodbye to boring walls and exercise your interior design potential by exploring gorgeous architectural finishes ! 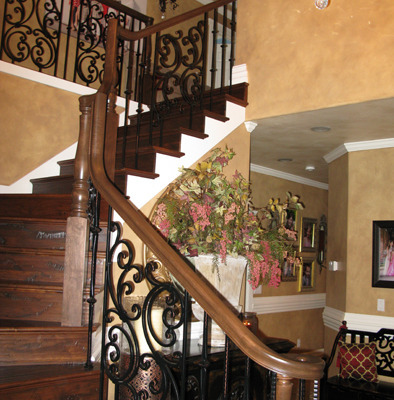 *Let Us Help You Each Step of the Way! 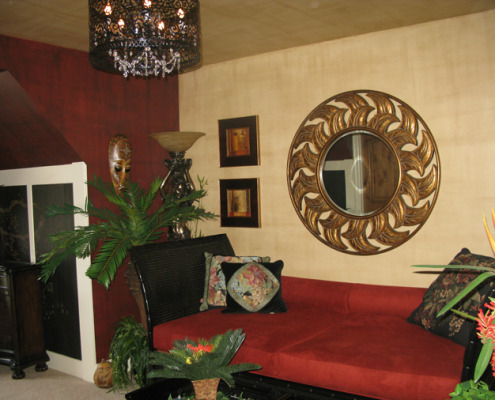 Are you uncertain where to start when it comes to the interior design of your space? 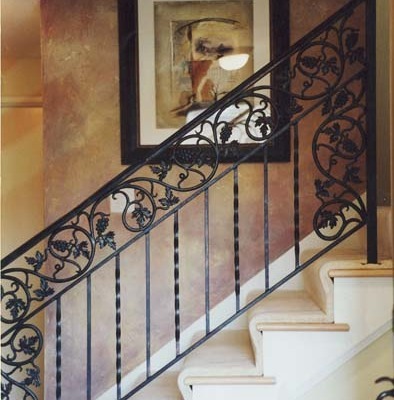 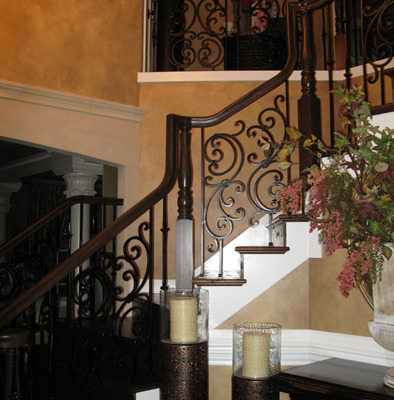 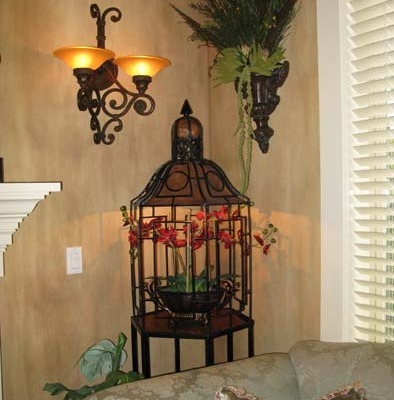 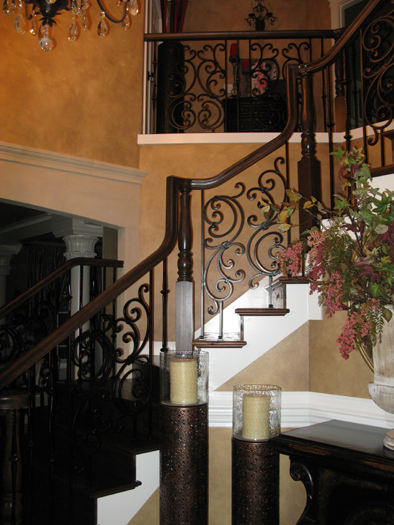 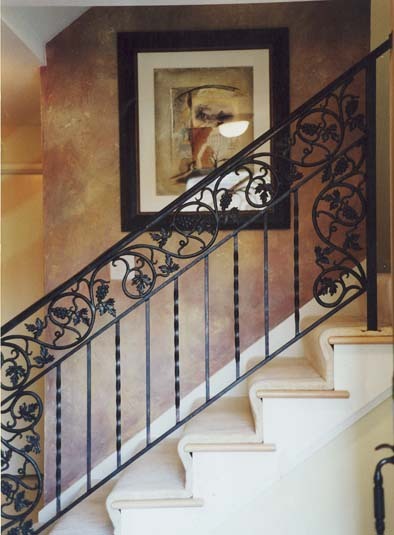 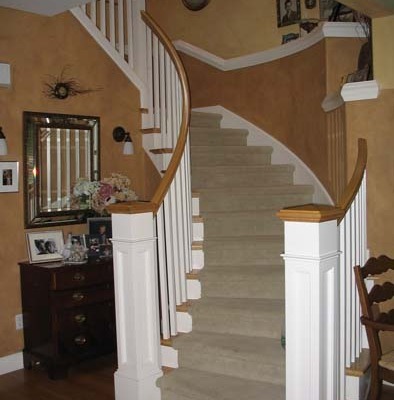 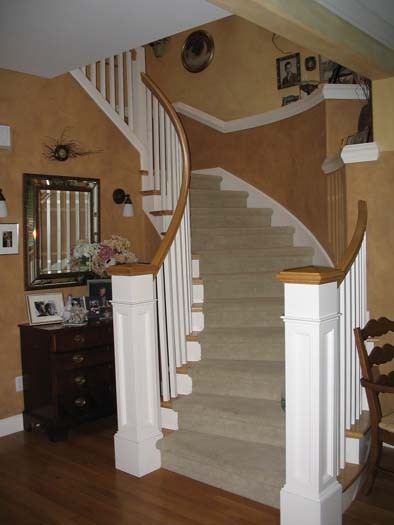 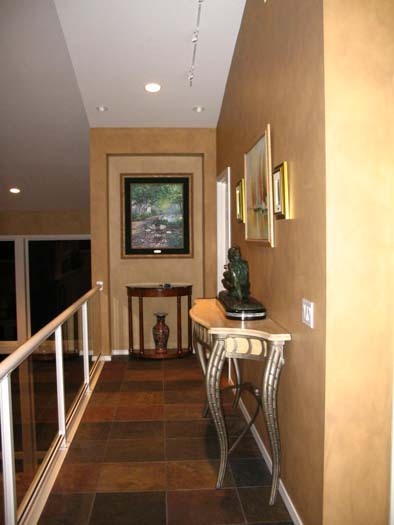 With your placement of color and texture you can accent and bring out the architectural details of the space. 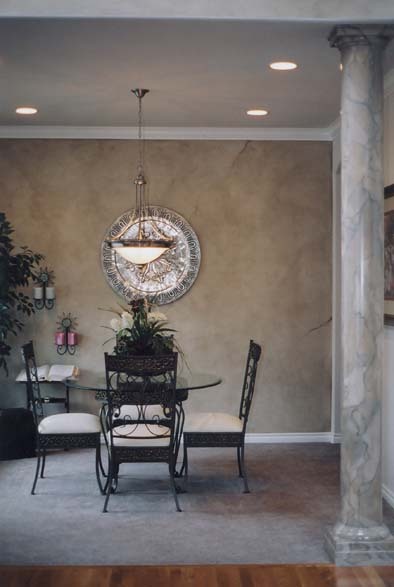 Decorative wall finishes, wall glazing and architectural finishes strategically placed can make your space come to life! 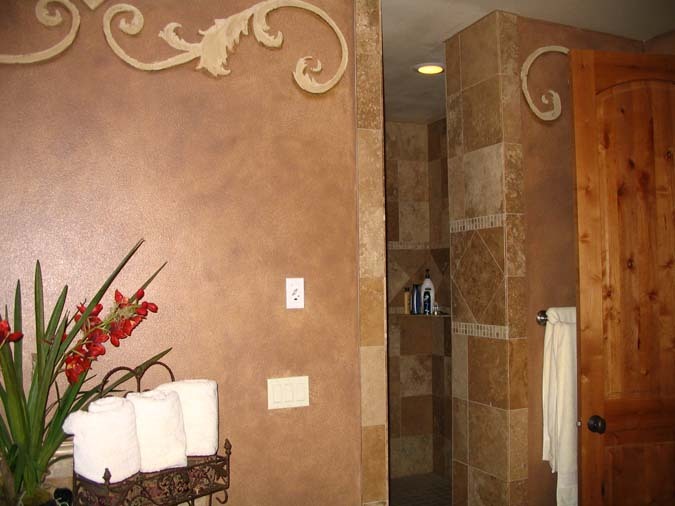 Whatever room in your house or business you are designing, there are many option of architectural finishes and wall coverings for your space. 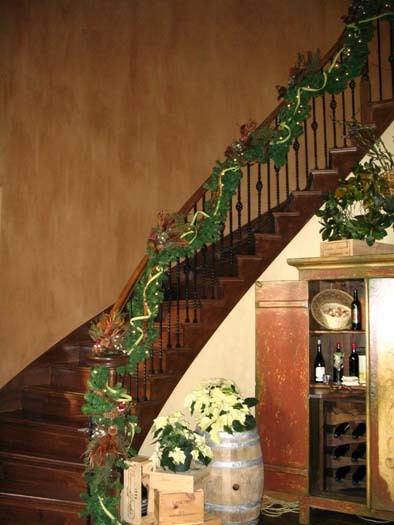 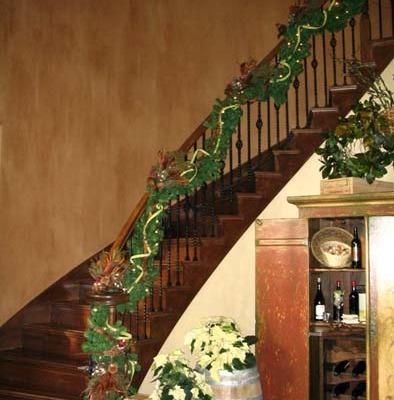 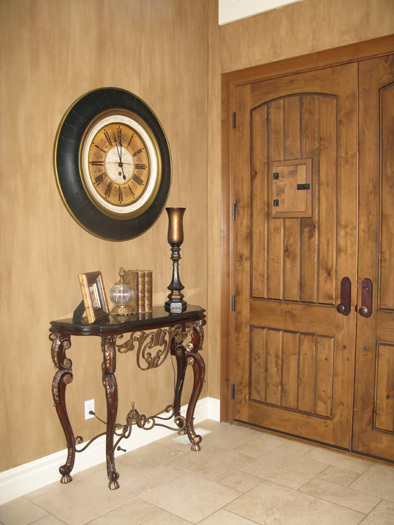 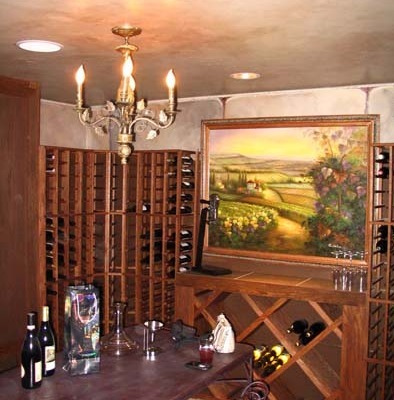 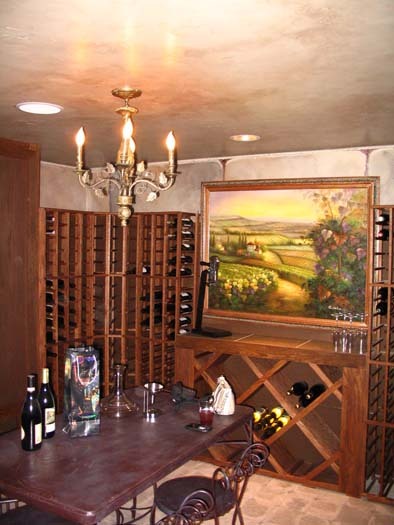 Creating a rustic old world wine cellar with aged walls can make your wine cellar timeless. 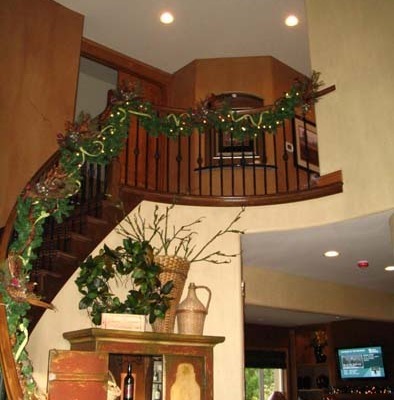 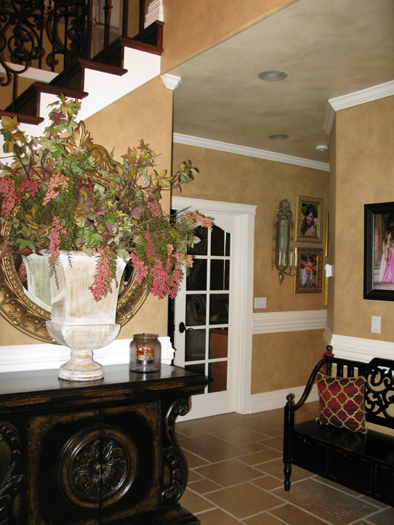 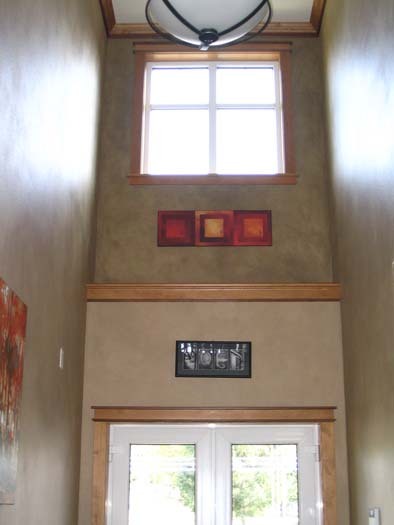 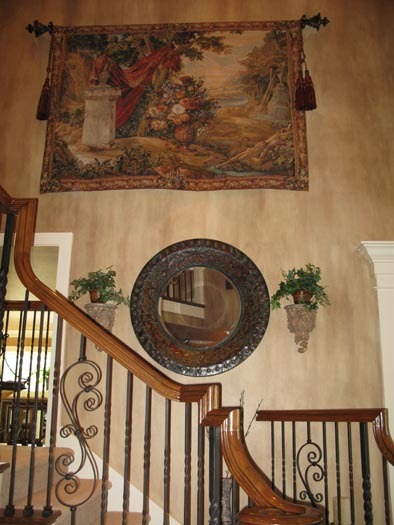 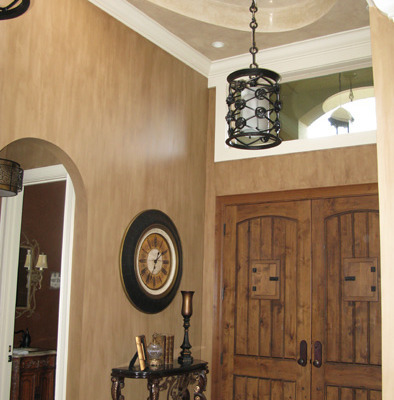 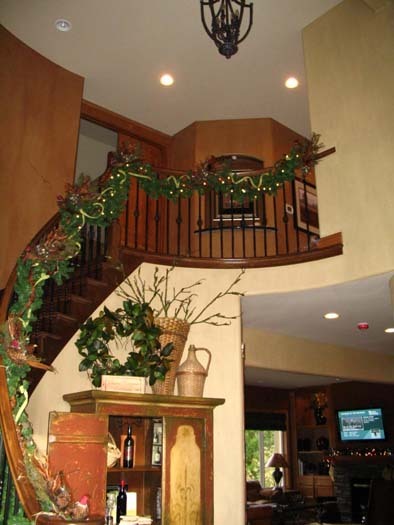 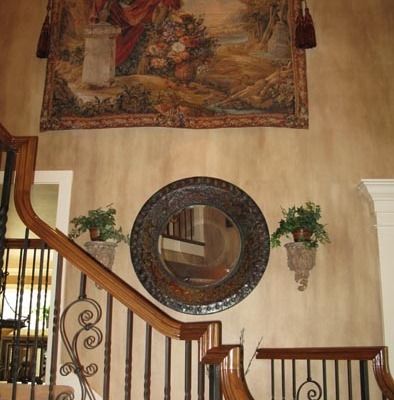 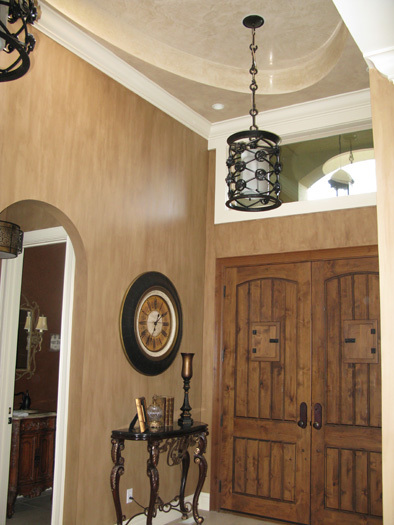 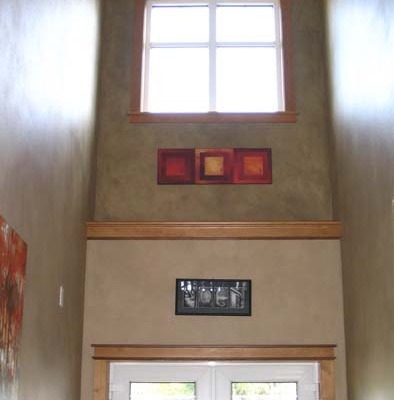 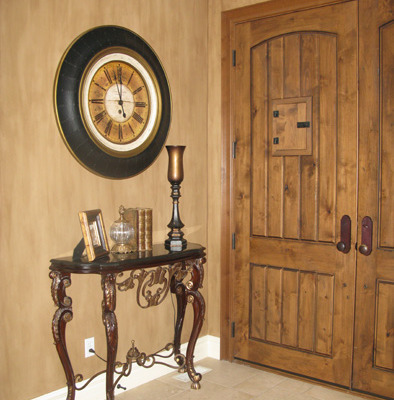 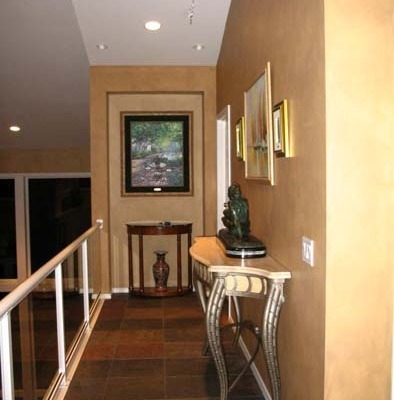 Adding beautiful wall glazing to a high entryway solves the problem of big empty walls. 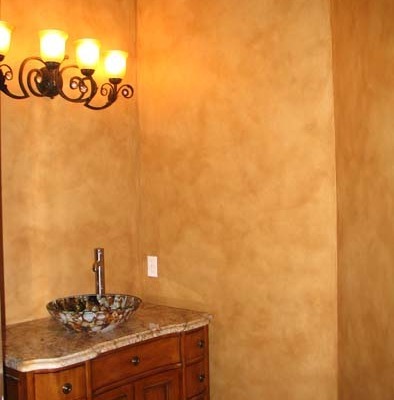 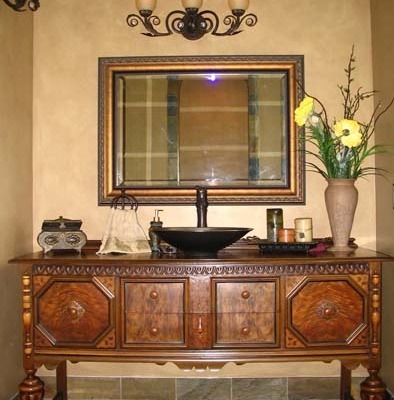 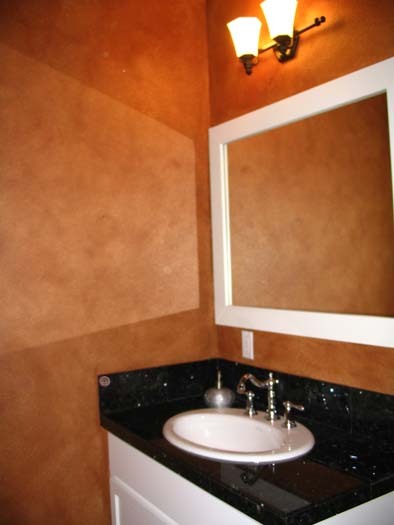 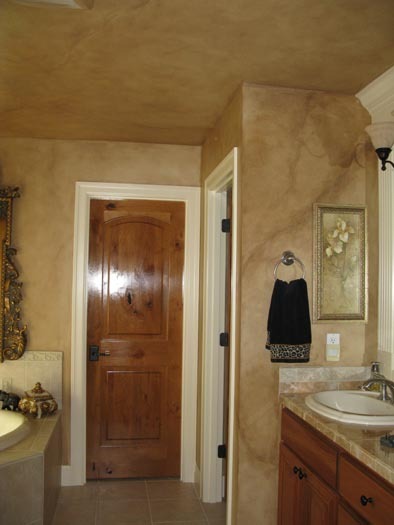 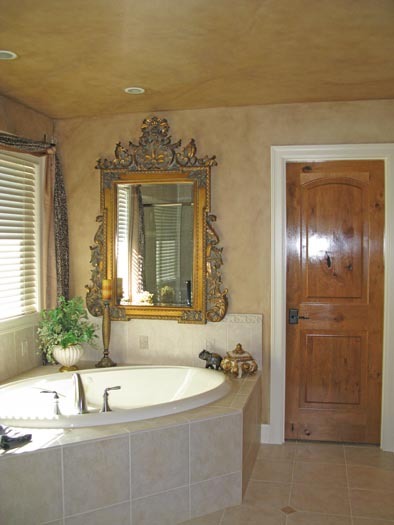 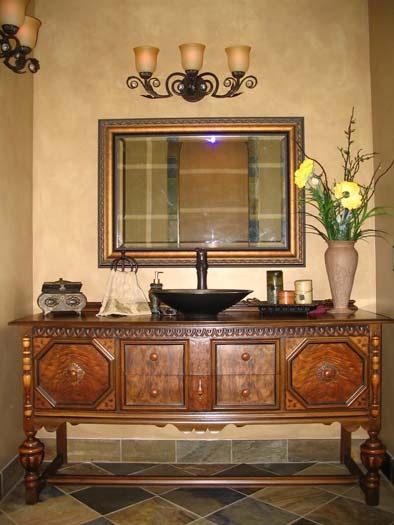 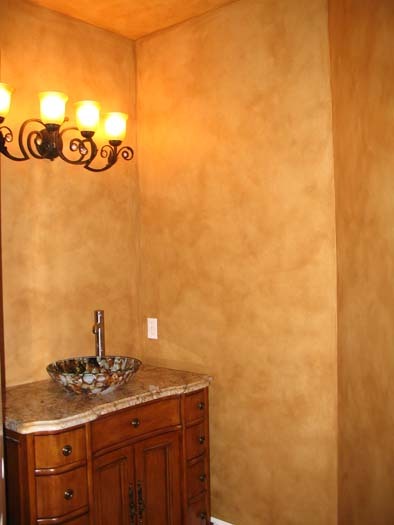 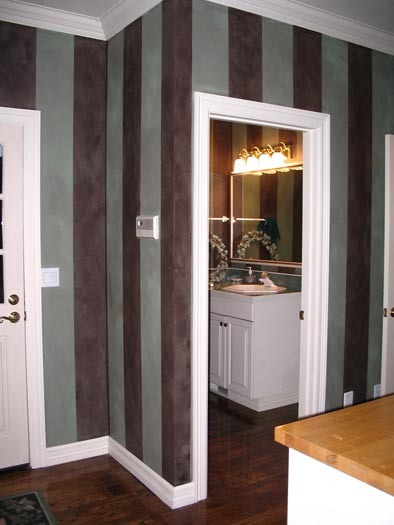 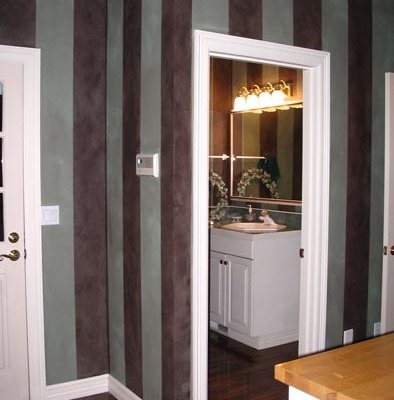 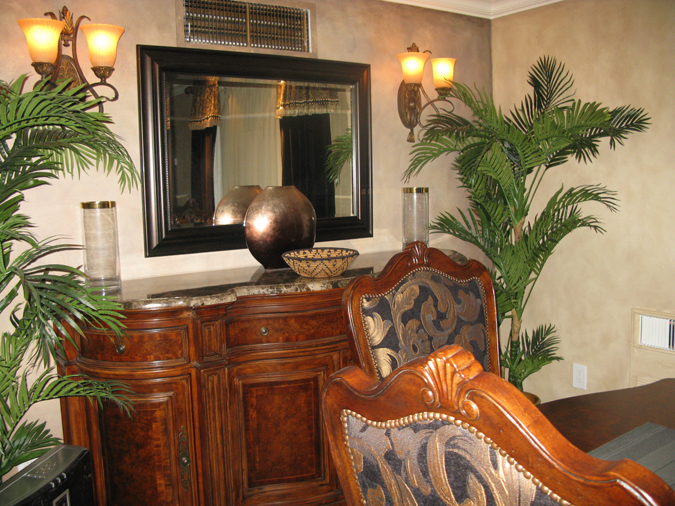 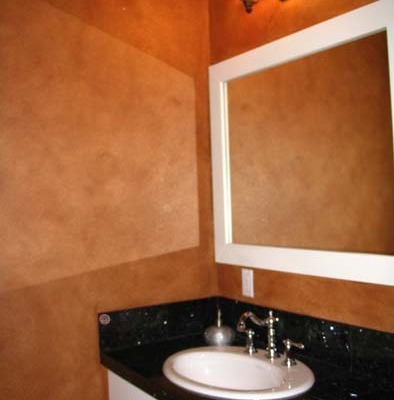 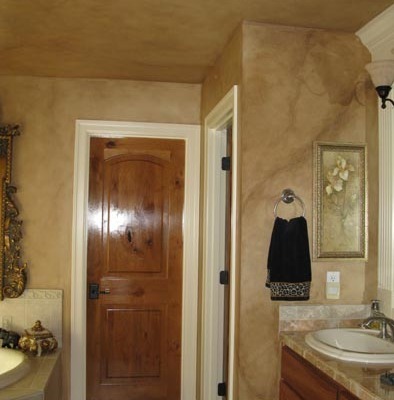 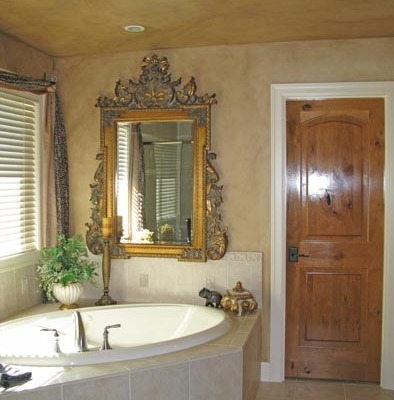 Rich surfaces with color will make your powder room unique and original. 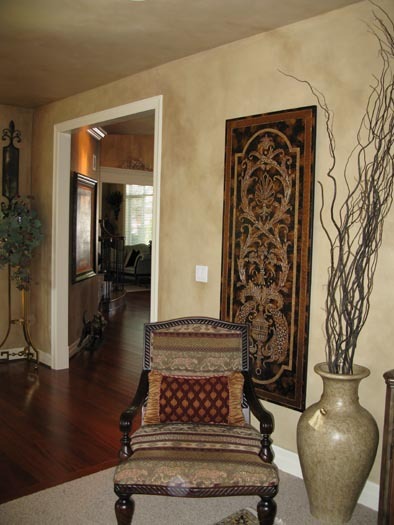 Mediterranean home design is filled with rich surfaces and finishes. 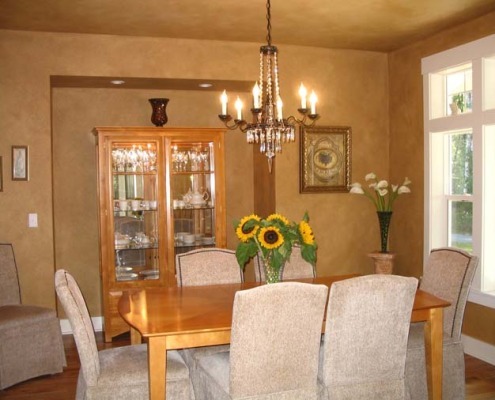 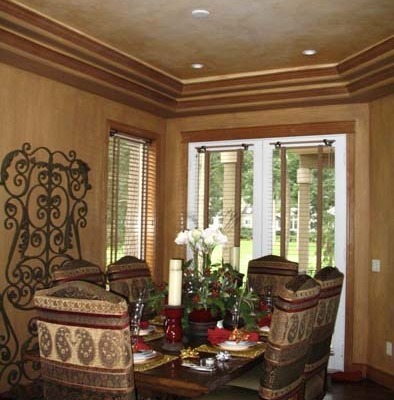 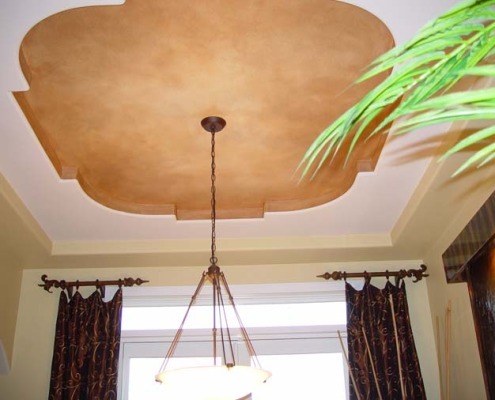 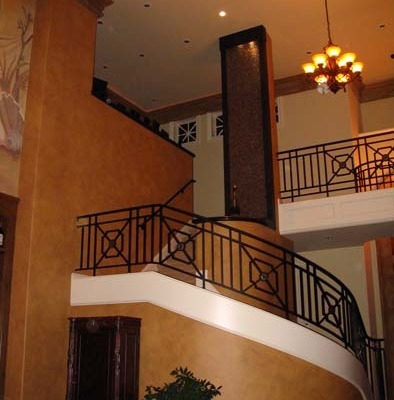 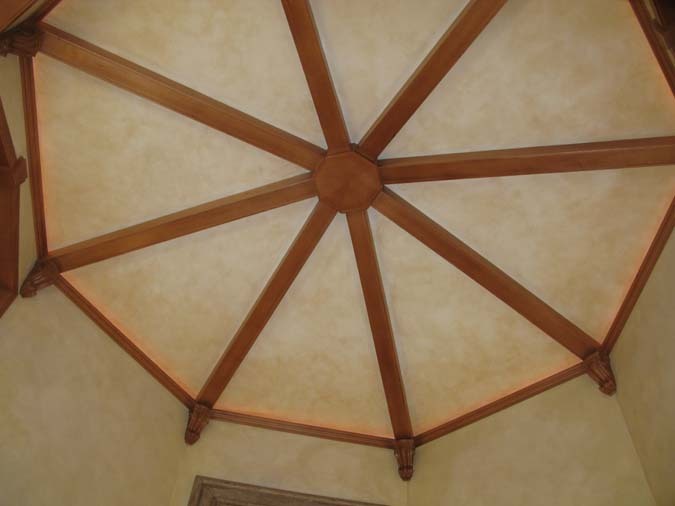 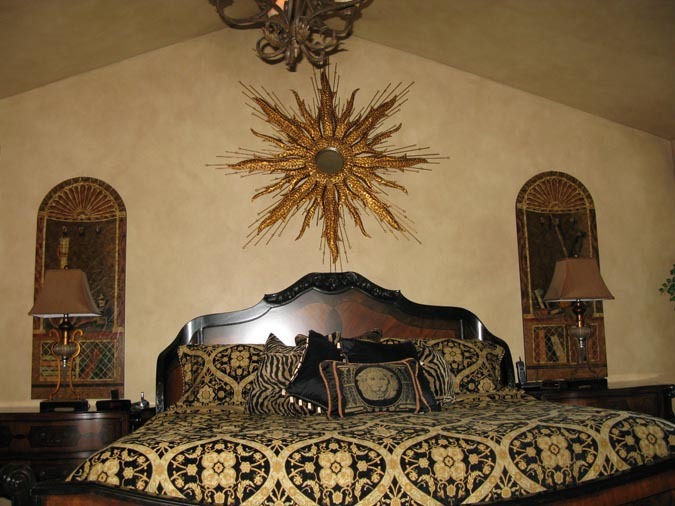 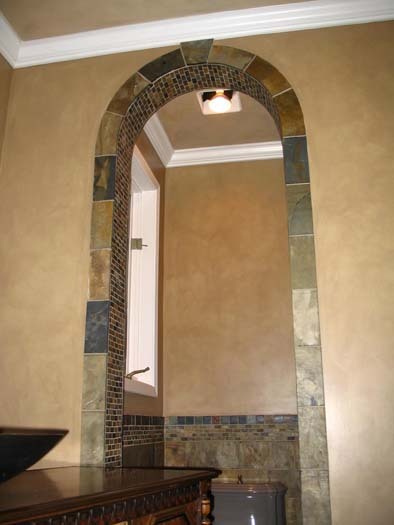 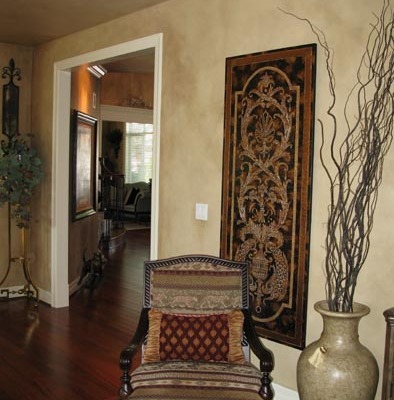 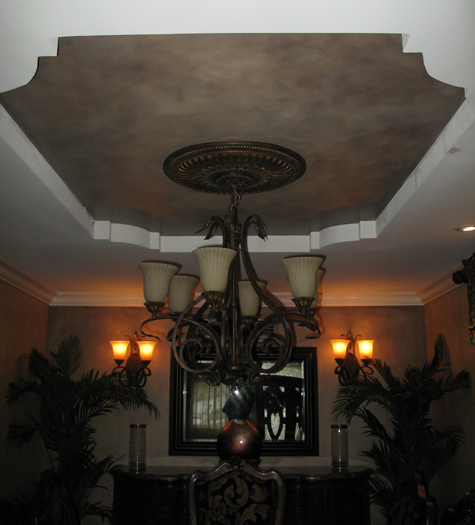 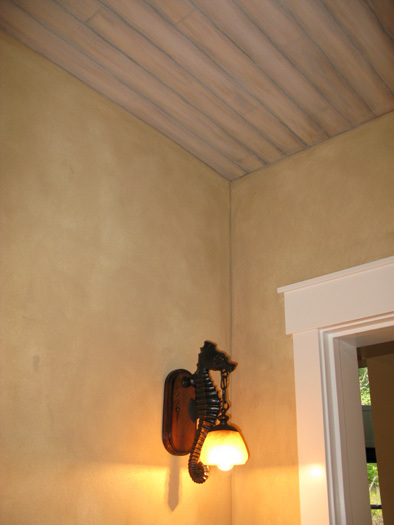 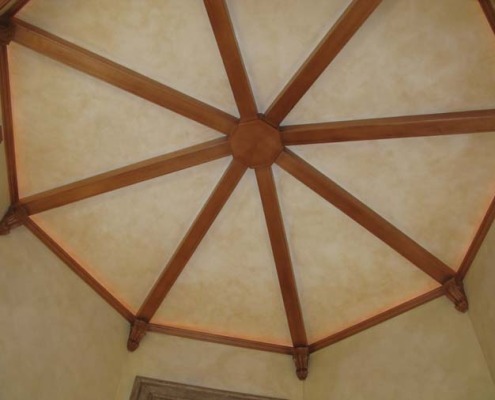 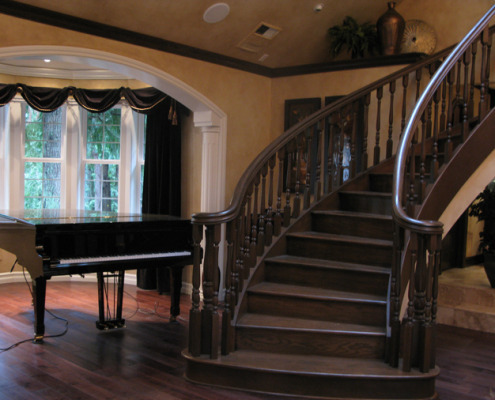 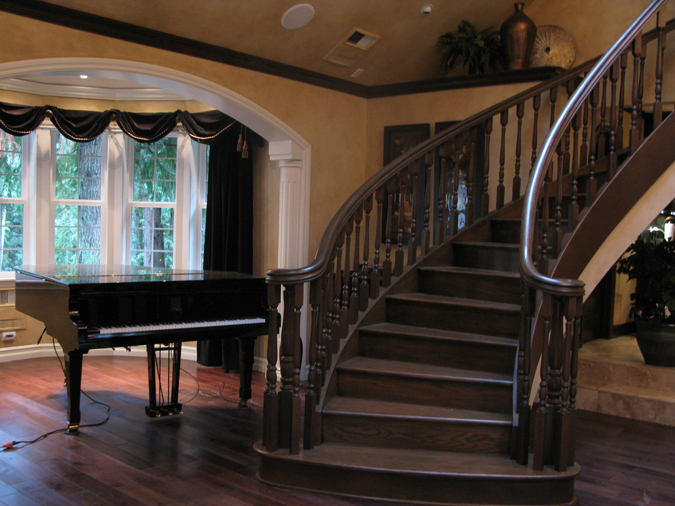 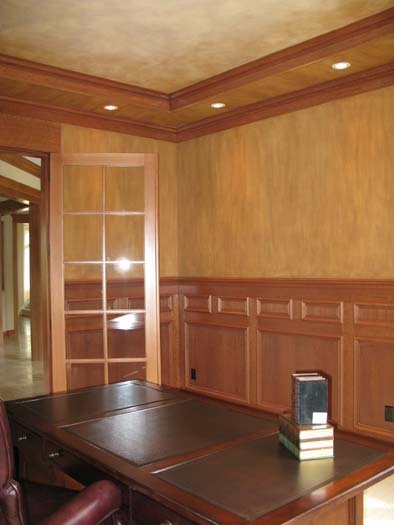 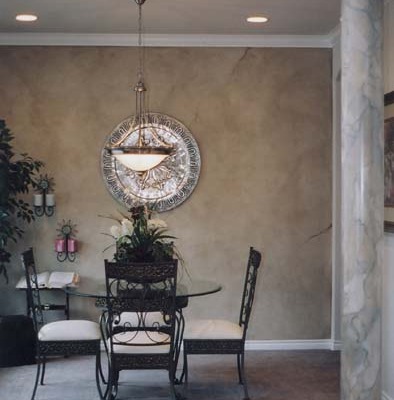 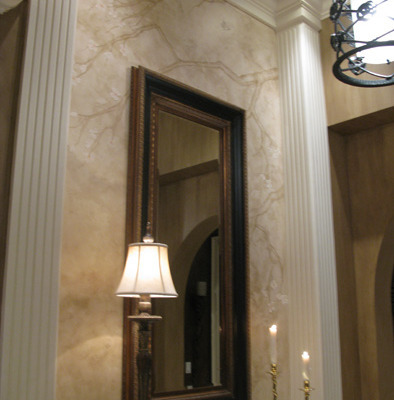 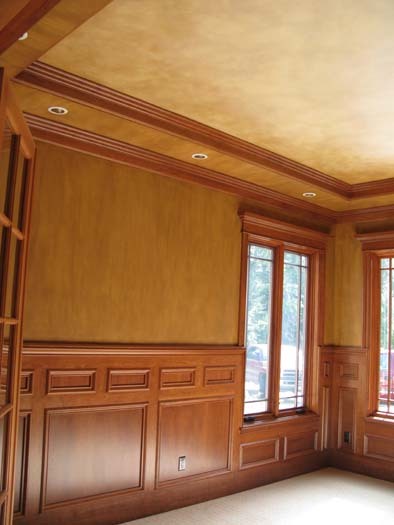 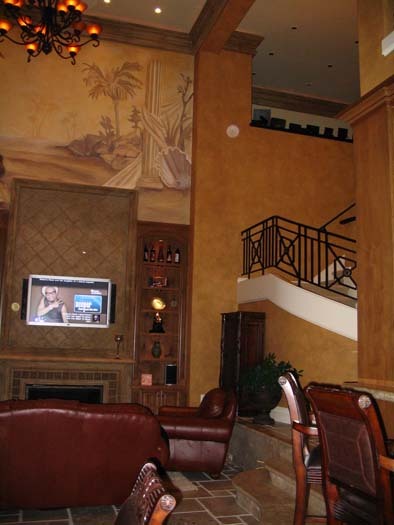 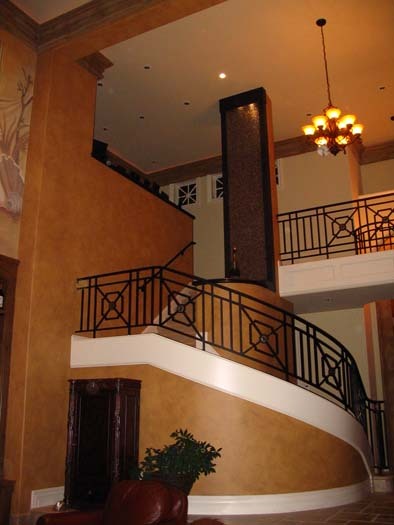 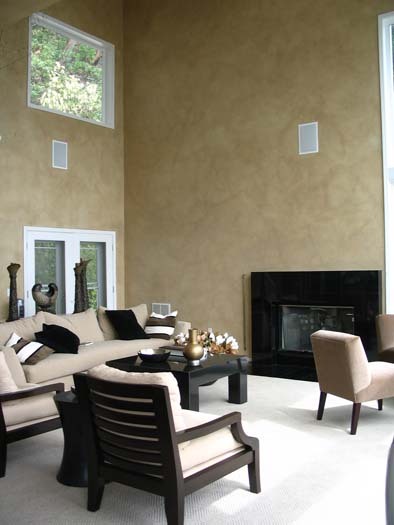 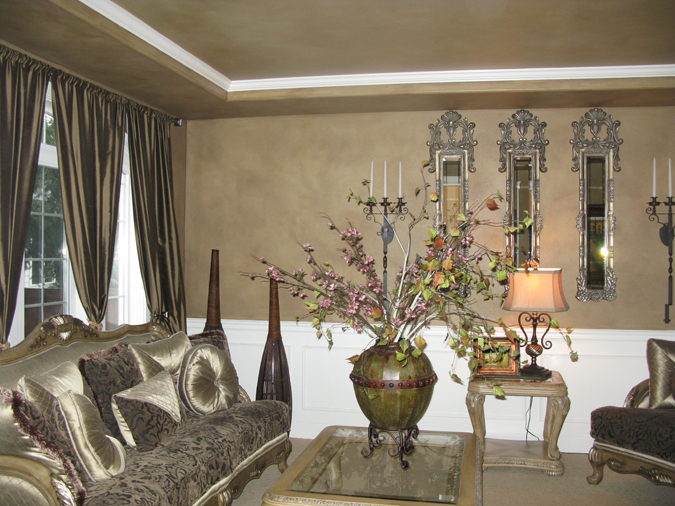 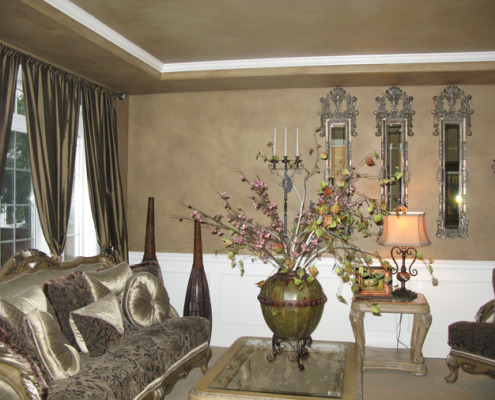 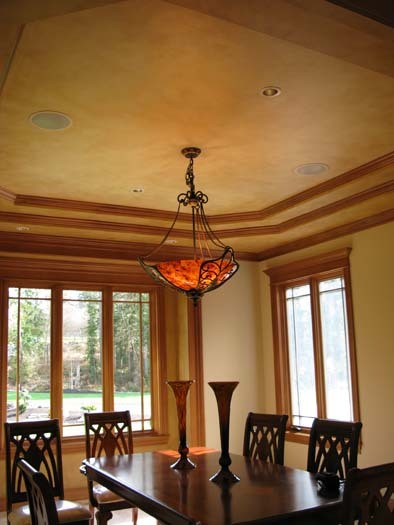 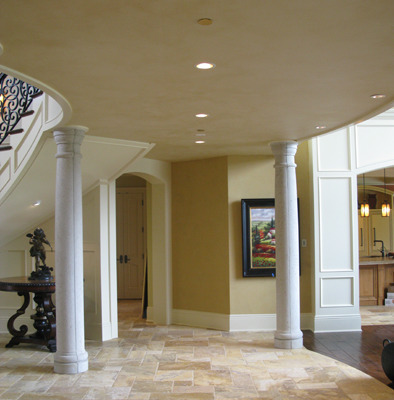 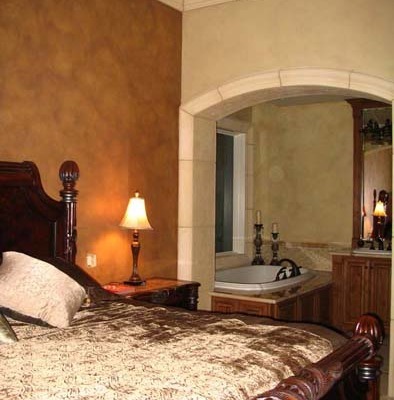 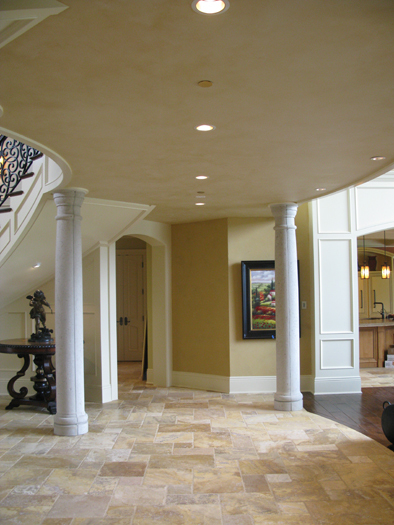 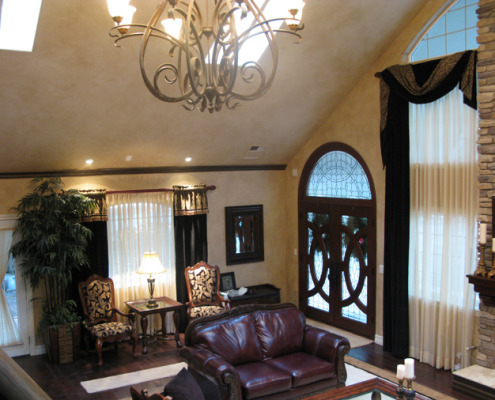 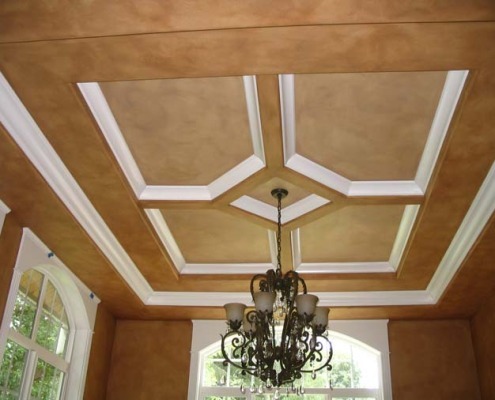 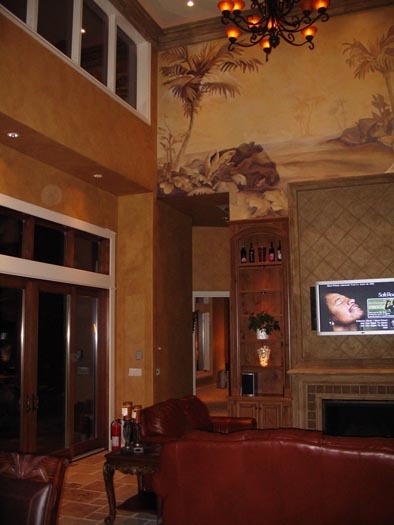 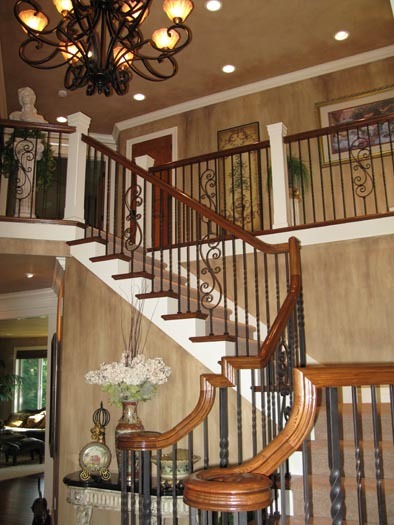 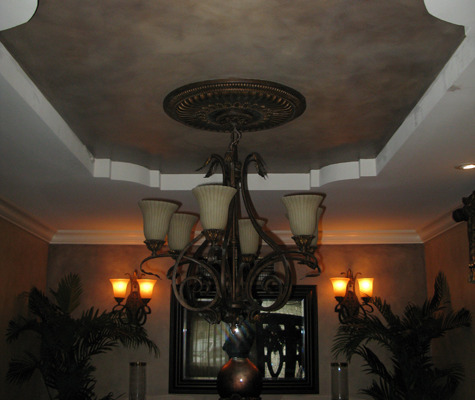 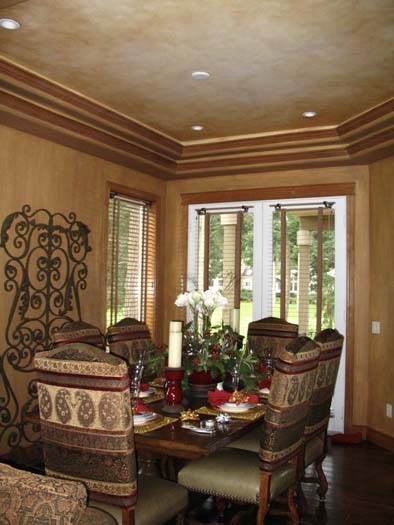 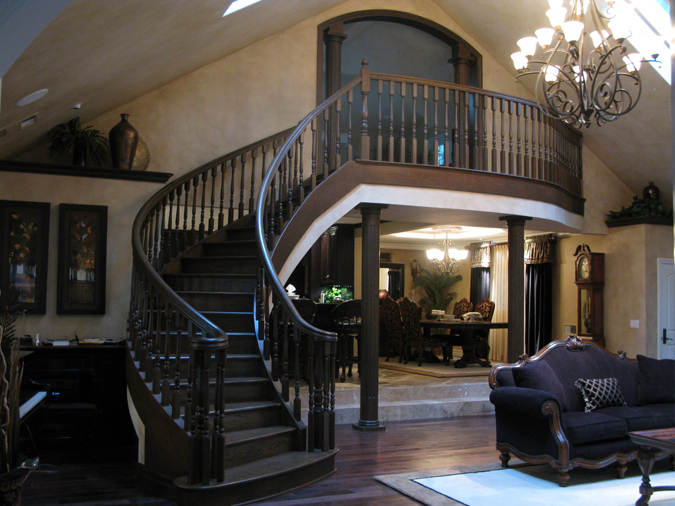 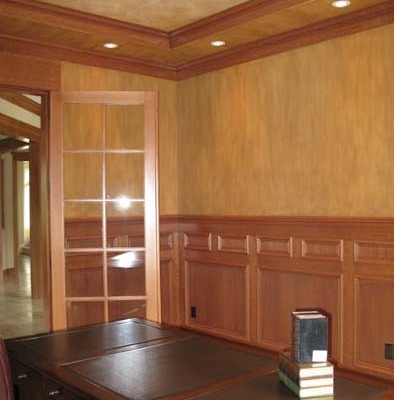 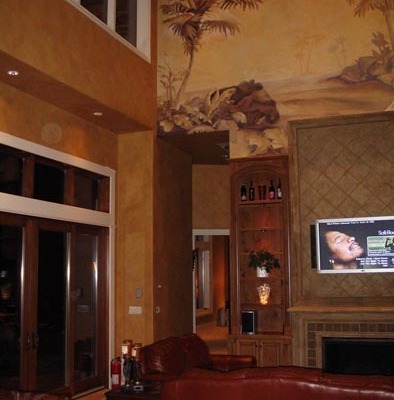 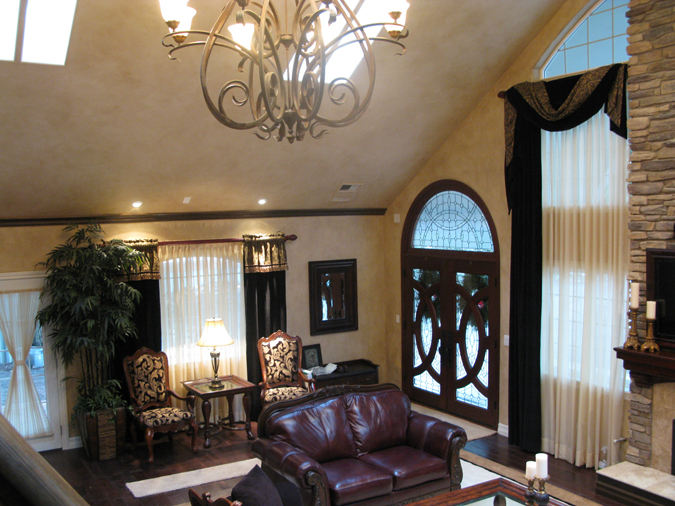 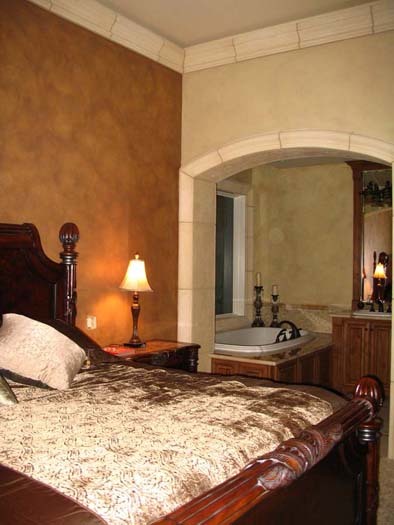 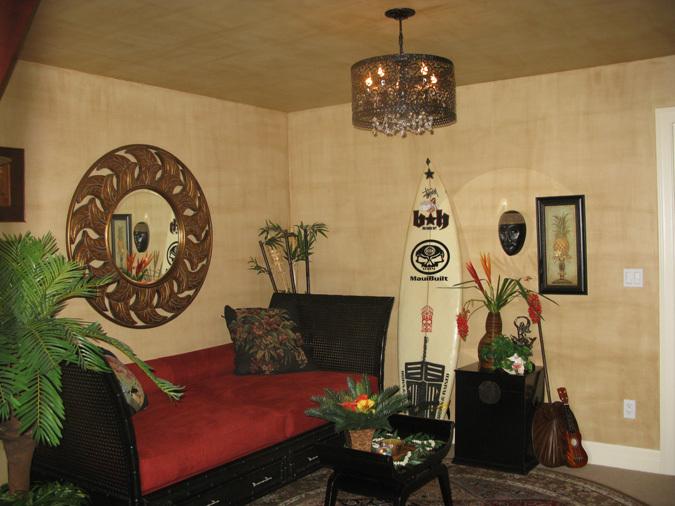 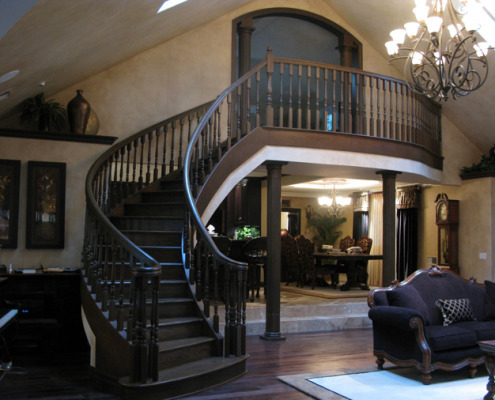 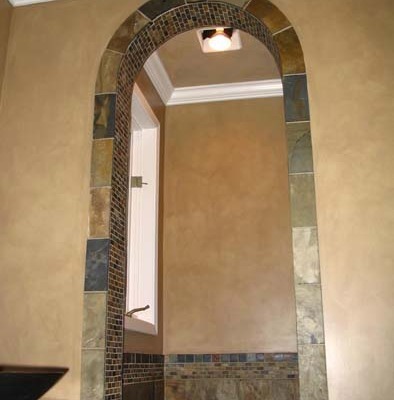 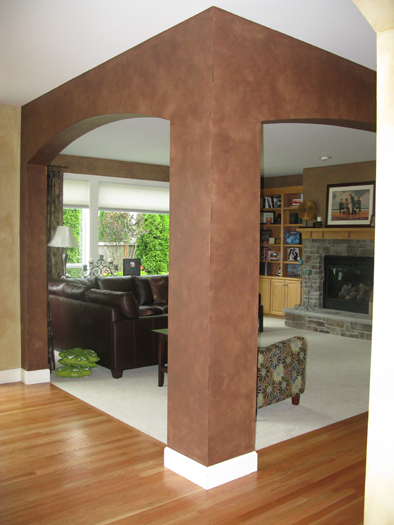 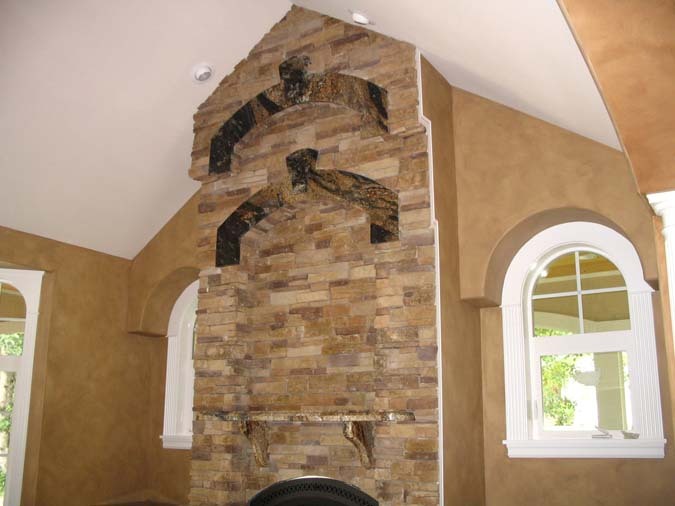 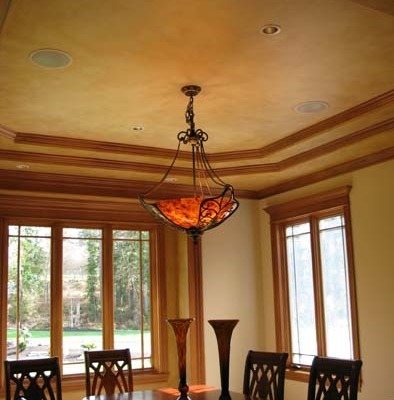 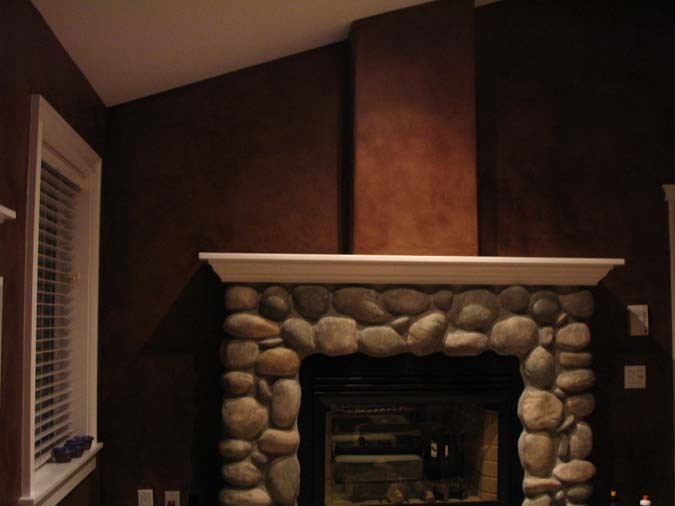 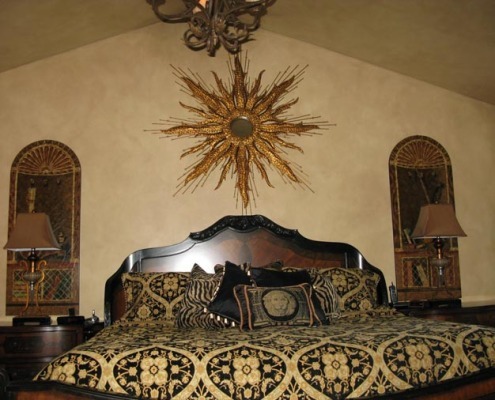 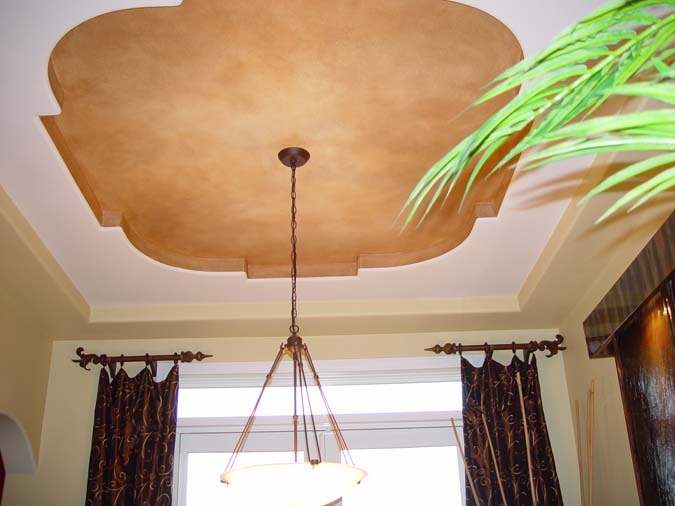 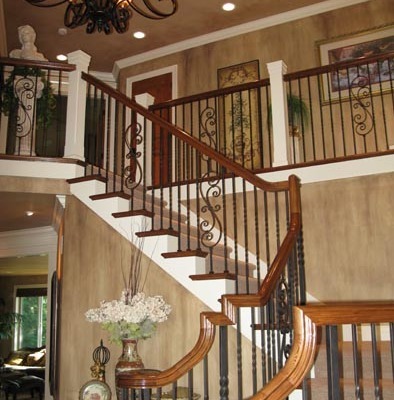 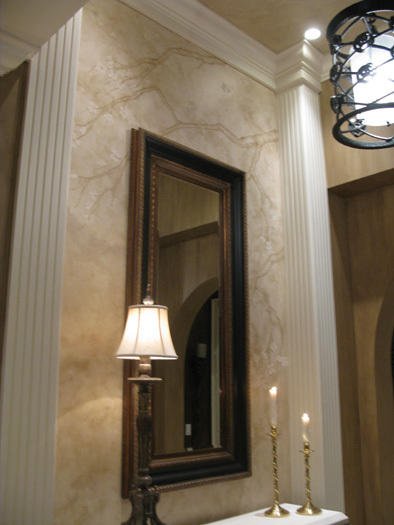 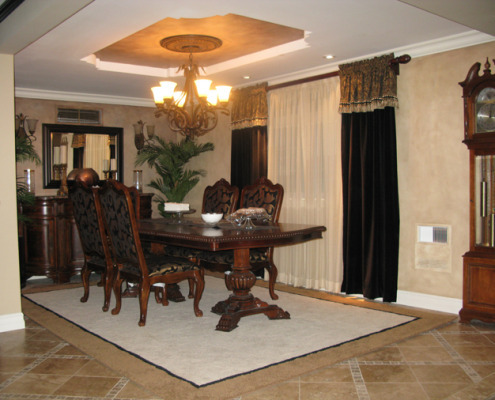 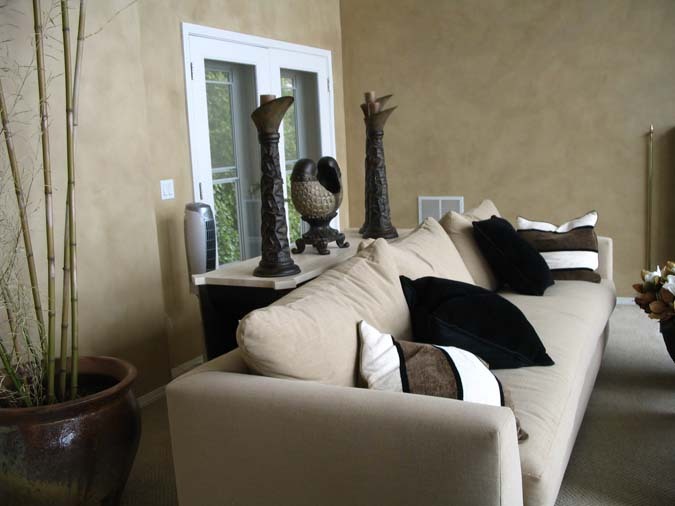 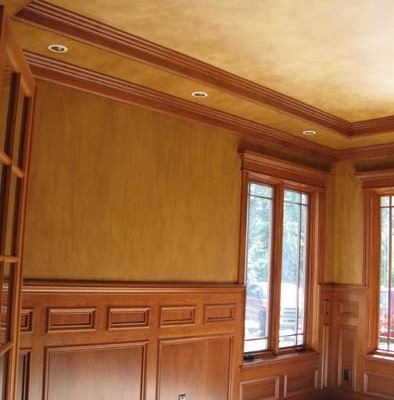 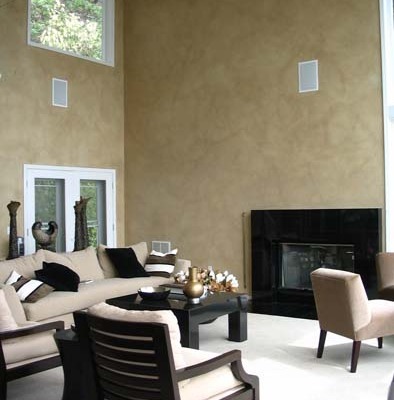 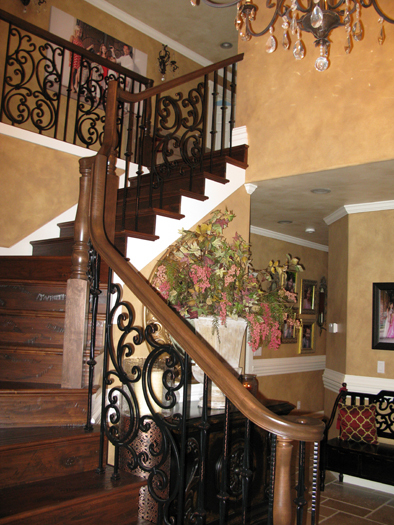 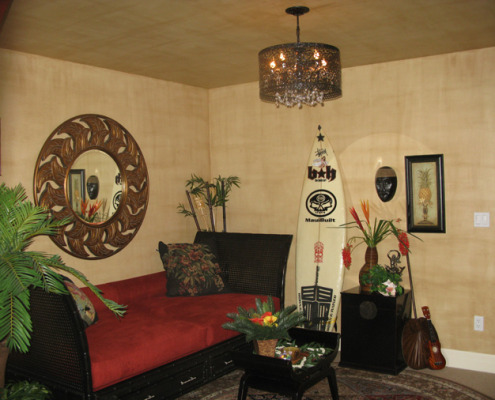 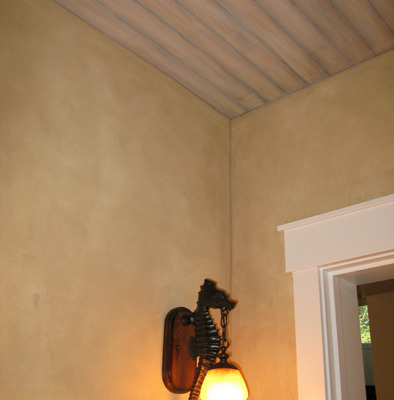 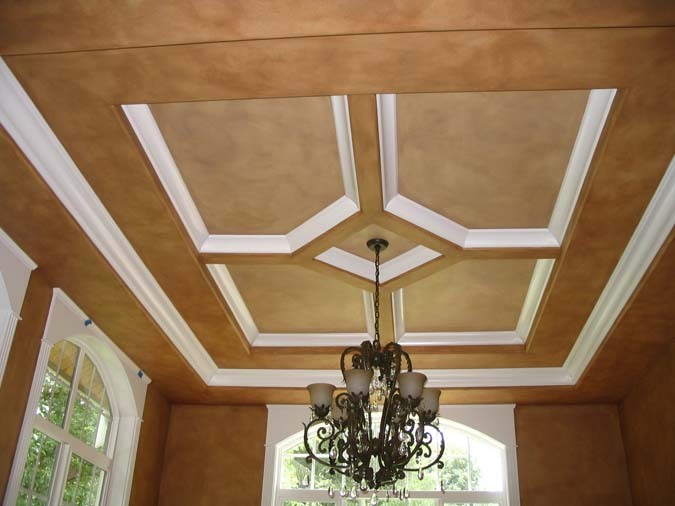 Paradise Studios is your exclusive cutting edge architectural finish and Venetian plaster specialists. 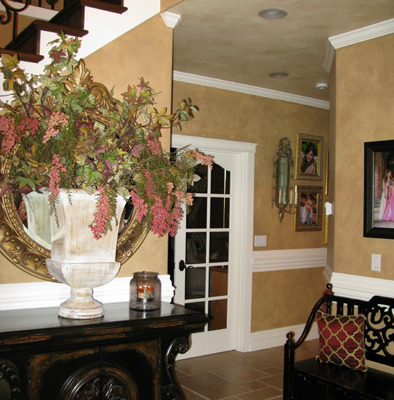 We transform the ordinary into the extraordinary taking average surfaces and transforming them into an elegant beautiful backdrop to accentuate all the elements or the room. 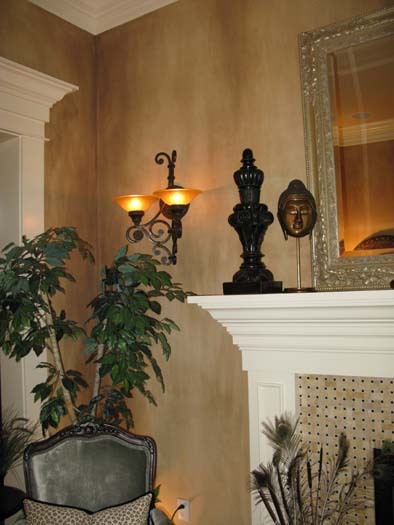 Our fabulous array of finishes include architectural wall glazing, contemporary metallic surfaces, wall aging, Venetian Plaster, Italian Marmarino, Tuscan Plaster, Designer Concrete finishes, Old world Frescoes, Gold leafing and much more that offer great interior design ideas.We work closely with the homeowners, interior designers, builders or architects to determine the innovative, color palettes and the direction of the project to optimize your space and bring out the architectural features in your home and business. 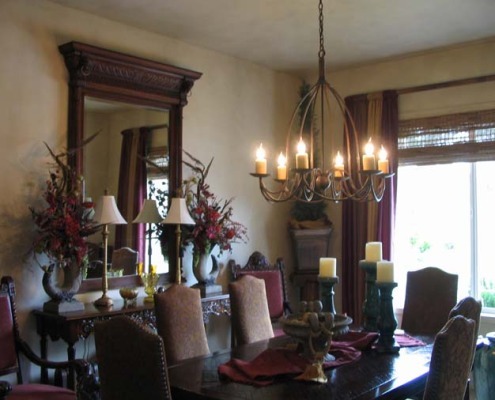 You will be working one on one with professional artisans who will make this process a fantastic experience. 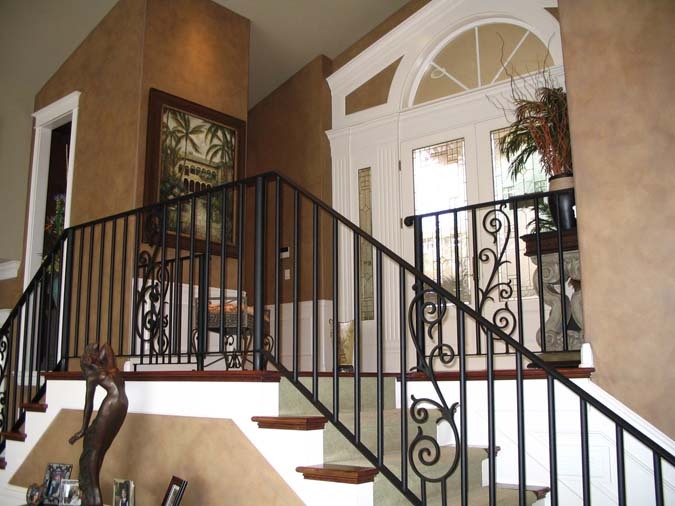 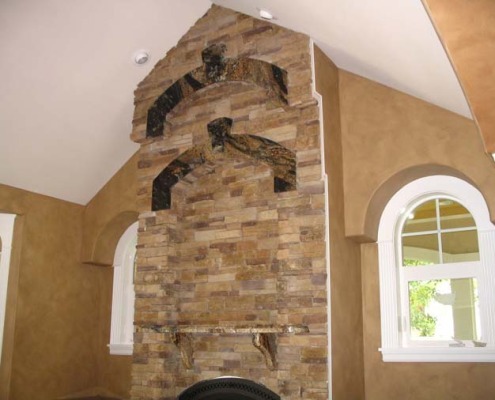 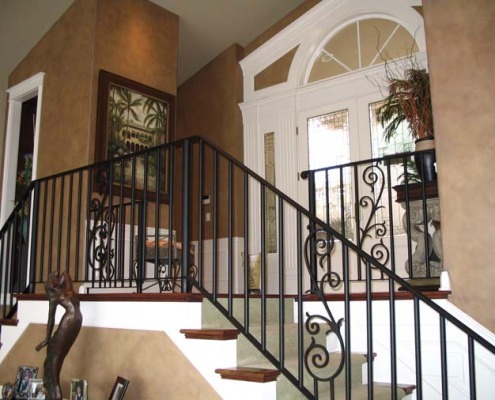 We have offer architectural finish and design services in Seattle, Bellevue, Kirkland, Redmond, Woodinville, Sammamish, Tacoma, Gig Harbor and surrounding areas.